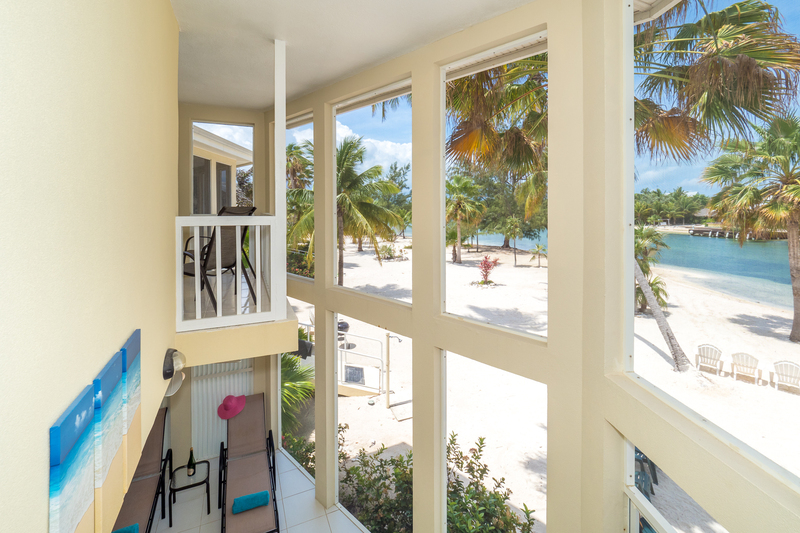 Island Sunset #16 is a Pristine 2 story, 2 bedroom, open floor plan water/beach front Island House directly across from Rum Point which sleeps 6. Welcome to Island Sunset at The Island Houses of Rum Point! 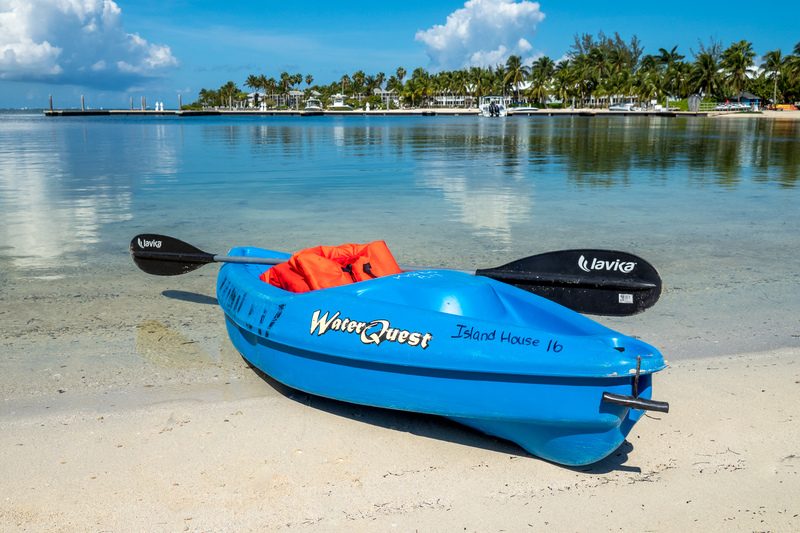 Complimentary: 3 Kayaks and 5 New Island Bikes for your use! 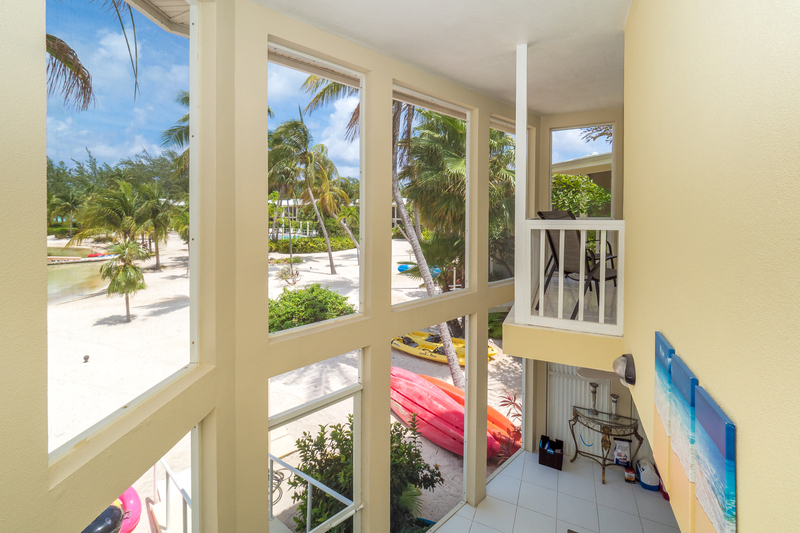 The Island Sunset is pristine 2 story, open floor plan Island House which brings Cayman's nature and the tropical island breeze indoors. 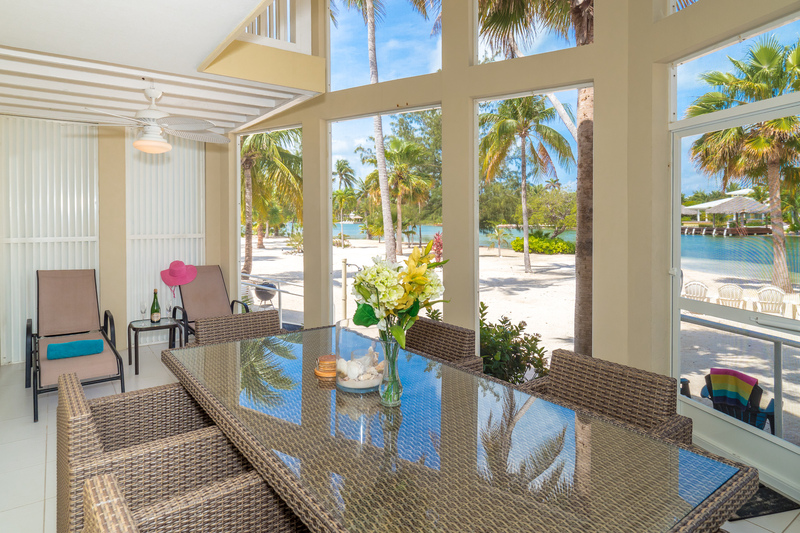 Island Sunset is beautiful, well appointed water/beach front property located on the Rum Point inlet cove with a fresh powdery white sandy beach surrounded by lush tropical foliage. Island Sunset is a a fantastic vacation destination for a family, couples traveling together or just a romantic couple looking to get away from it all. 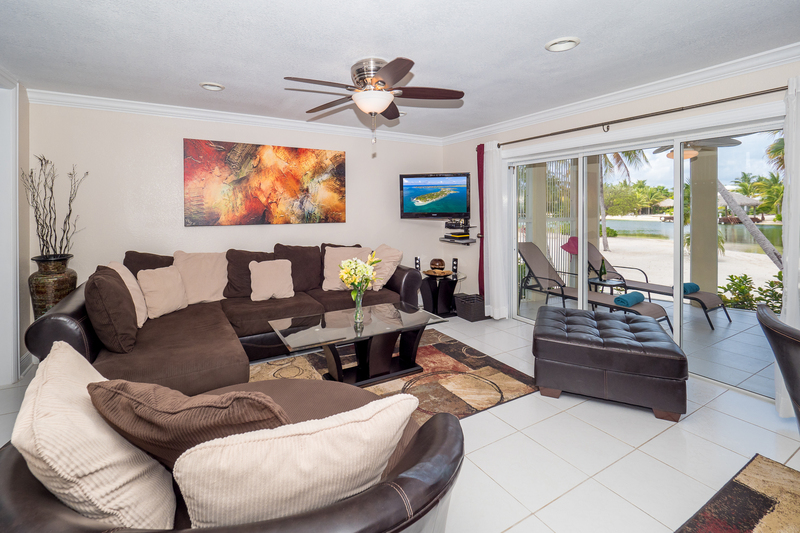 The Island Sunset living room has all new furniture including a 37' flat panel HDTV equipped with cable and premium channels, high speed wifi and free international calls to the US and Canada. 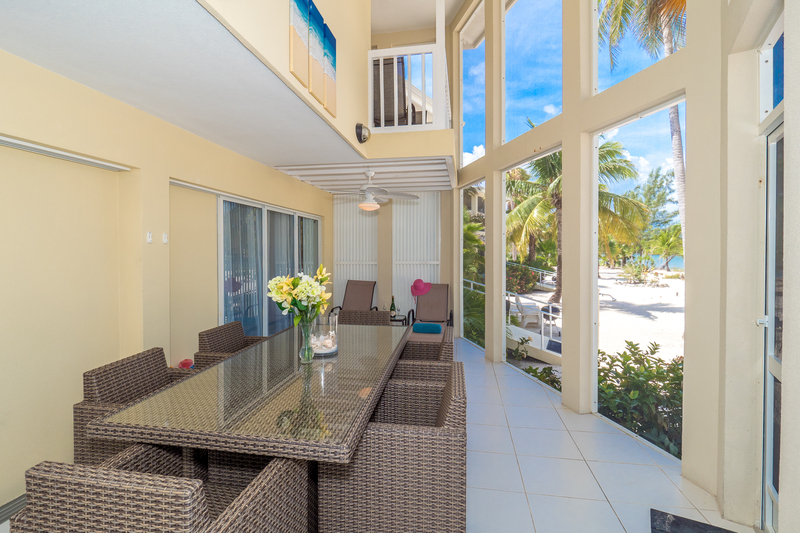 Enjoy dinner either inside with the comfort of leather chairs with a table that seats 5, or opt for upscale casual dining on the screen in patio with your serene beach view. 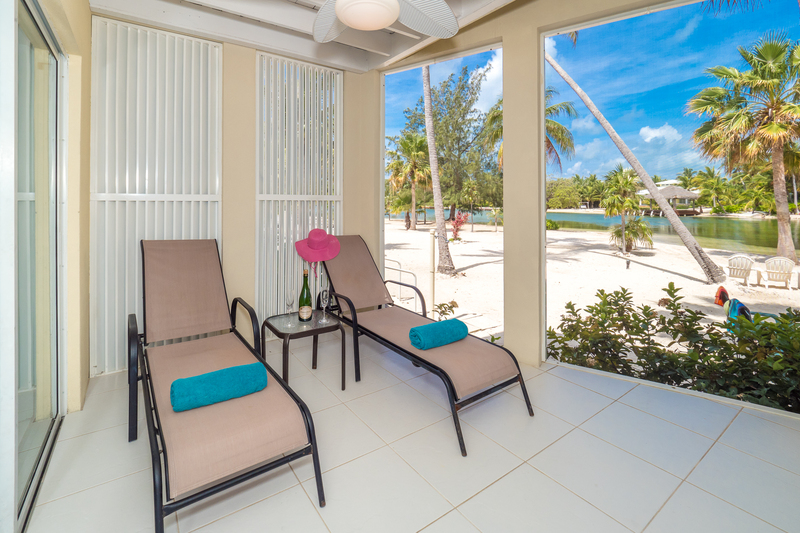 Our patio doors are extra wide and collapse into 3 sections so you can enjoy the Caribbean breezes while inside. 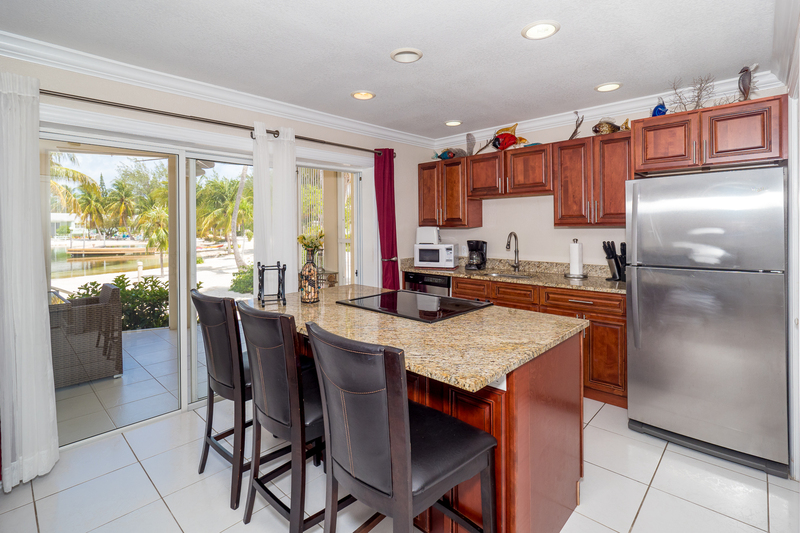 Island Sunset has a new custom designed kitchen with upscale cabinets, granite counter tops with a stainless steel under mount sink and a speical over sized island counter top. 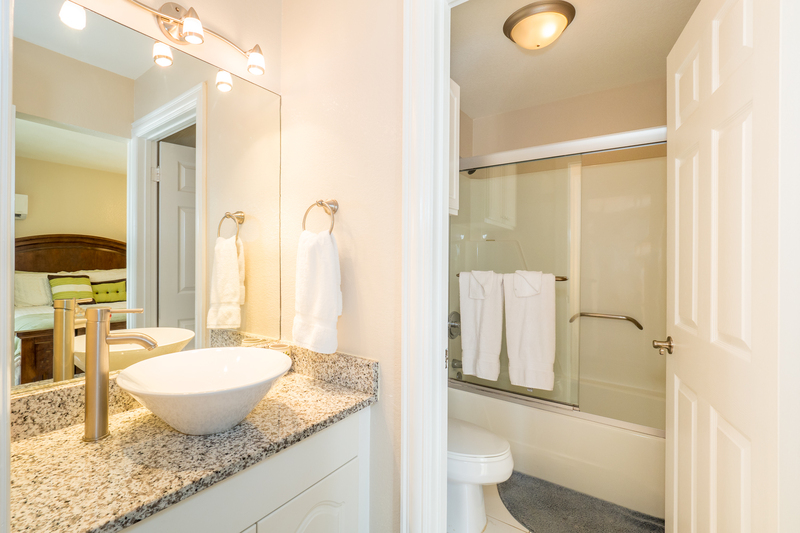 All appliances are state of the art stainless steel and we provide fullsize washer and dryer for your convenience. 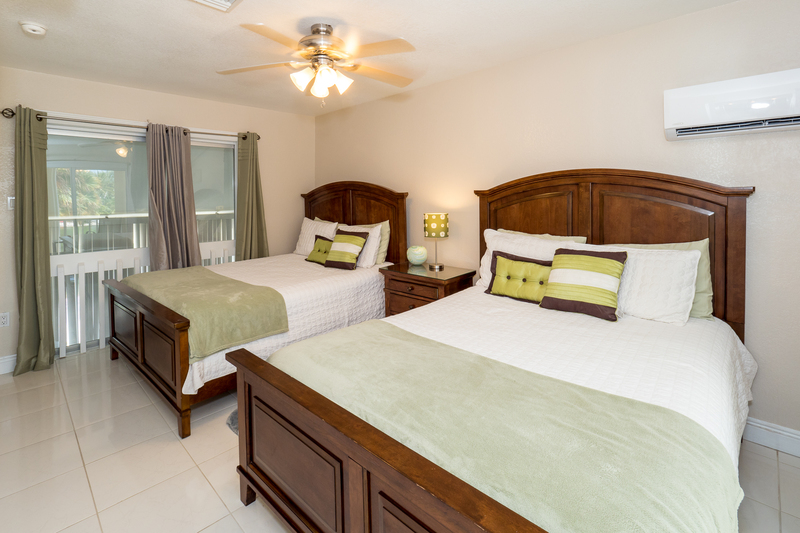 Island Sunset has 2 bedrooms upstairs with a luxury memory foam King Size bed in the master bedroom and two Queen Size beds in the guestroom. 1000 count linens and Ralph Lauren towels are just some of the simple pleasure we have provided for our guest to ensure you and your family have the best possible experience when visiting our Island House. 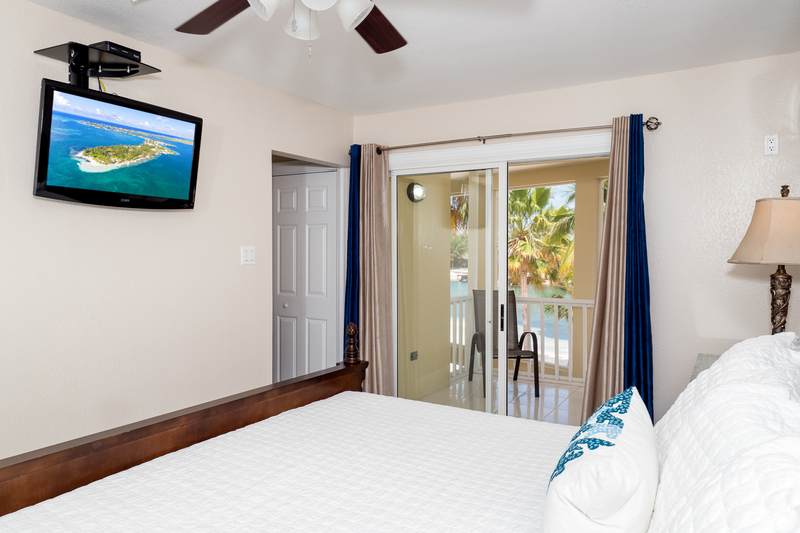 Each bedroom has a 32' flat panel TV's with bathrooms en-suite. 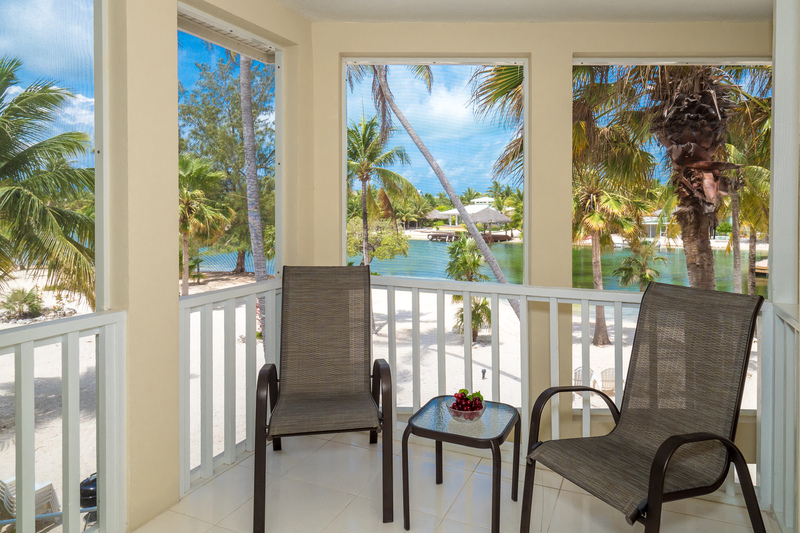 Also, each bedroom has a private balcony with new comfortable furnishing so you can relax with your beverage of choice while enjoying your breathe taking beach and water view! 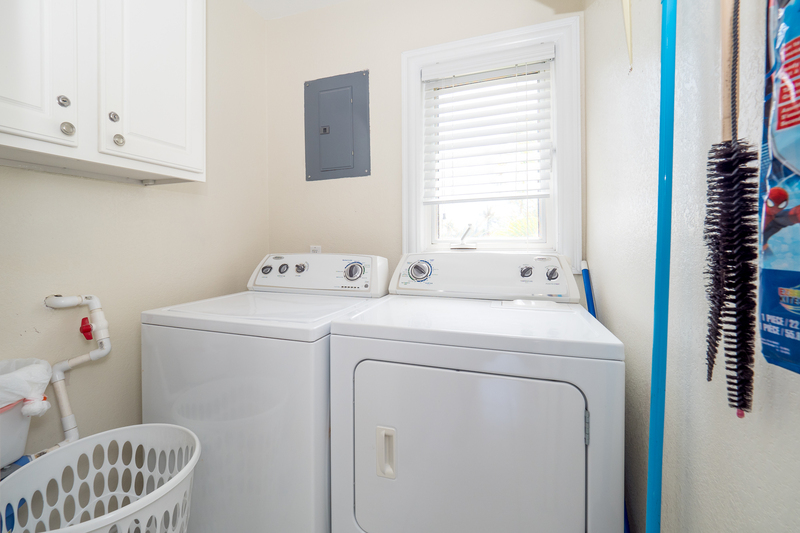 There is a separate laundry room with a washer and dryer on the ground floor right off the kitchen. 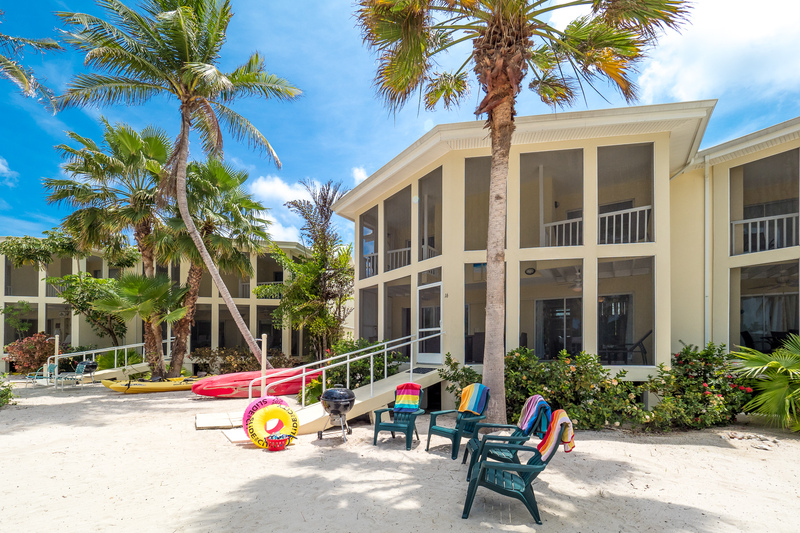 The Island House is only steps away from the famous Rum Point Beach where a full host of water sports, swimming or hammocks, and seaside dining await. 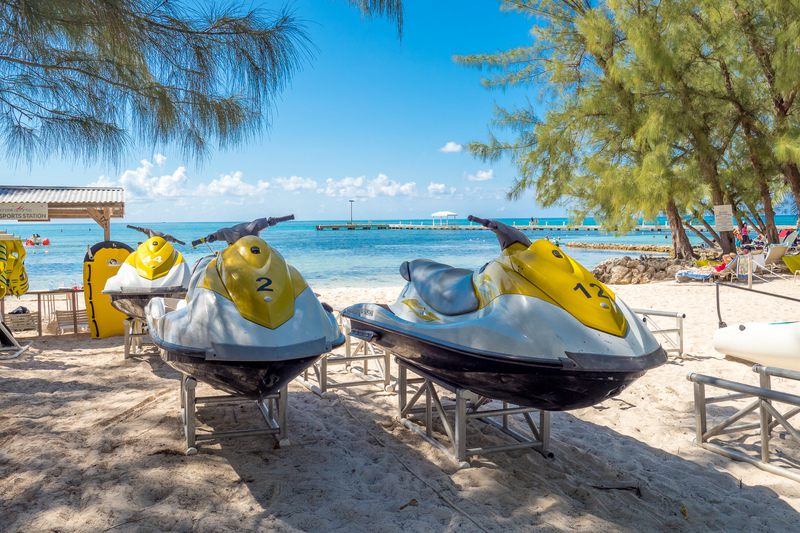 No visit to Grand Cayman would be complete without a memorable trip to Stingray City! 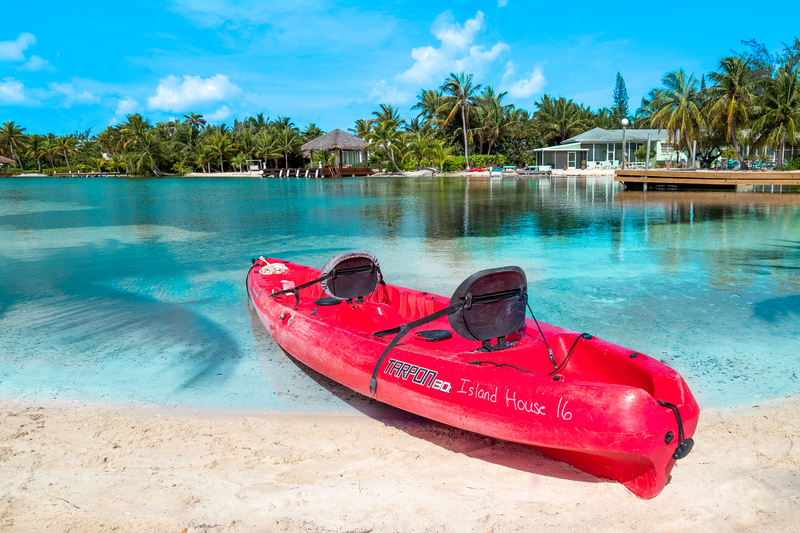 Take your Stingray City snorkel trip right across the street with Red Sail Sports. Take the ferry over to 7 Mile Beach for a day excursion, or romantic sunset cruise and dinner across the North Sound. 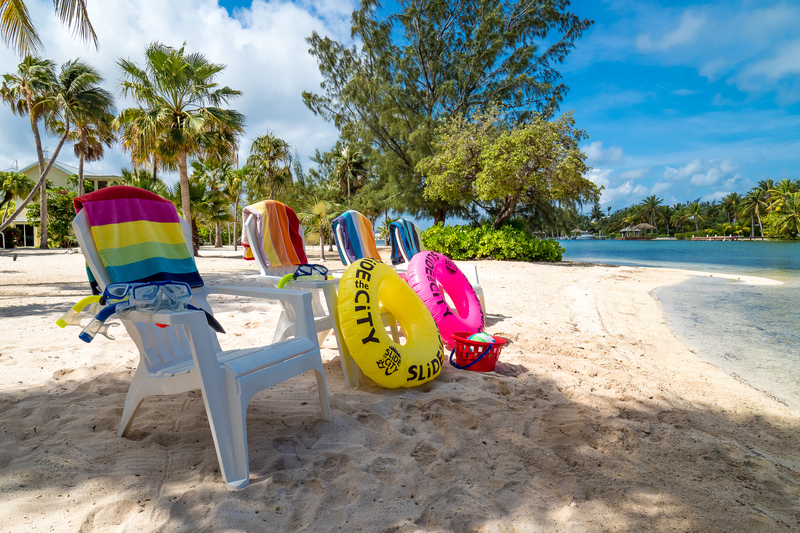 Why look any further, our properties have everything you and your family deserve when visiting Grand Cayman. 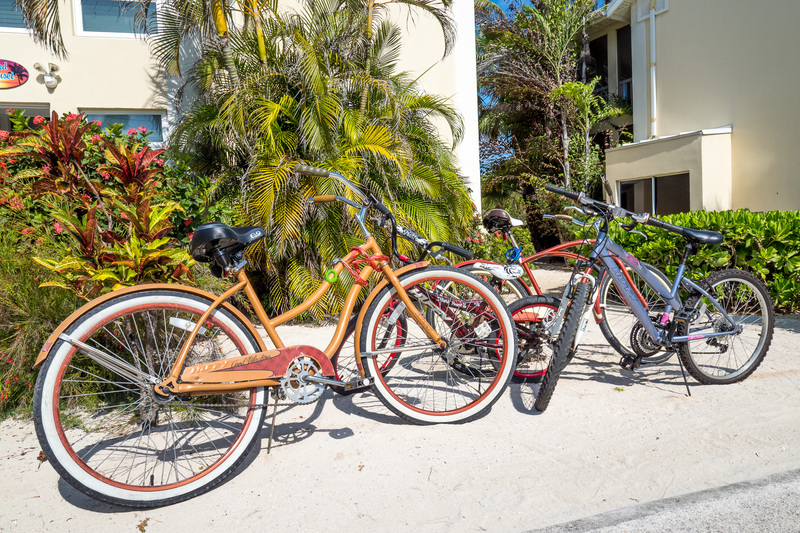 For our guests, we provide 3 complimentary two person kayaks, safety vests, and 5 bikes at no additional cost. 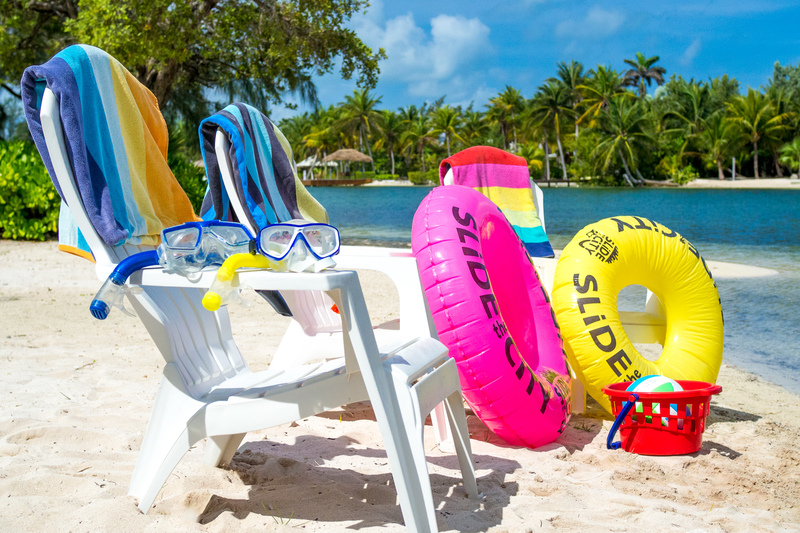 We also offer discounts on car rentals, water sports, attractions and much more. Get ready for a fabulous nocturnal spectacle with one of only 11 bio-luminescent bays in the world when kayaking at night! A micro-organism lights up when you disturb the water, it's truly a sight to see and you can experience this right outside your door. 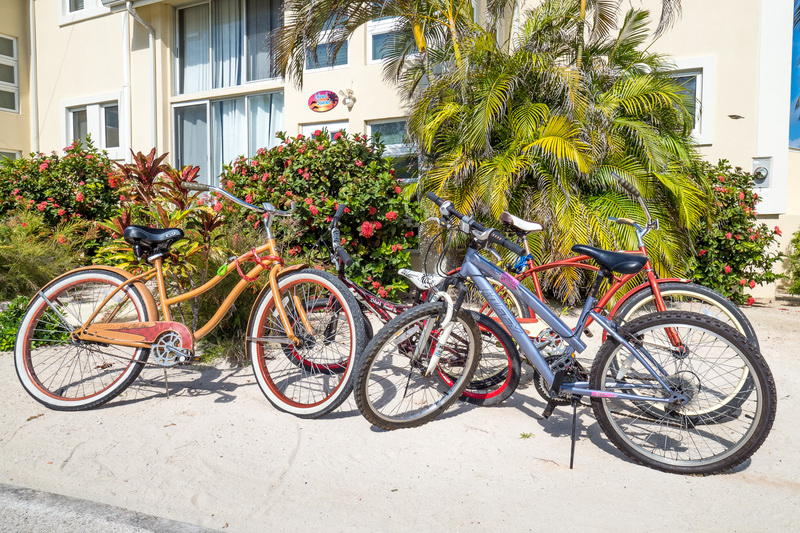 We also have an exclusive special 15% discount for car, jeep, van rentals for our guests through Hertz Cayman! 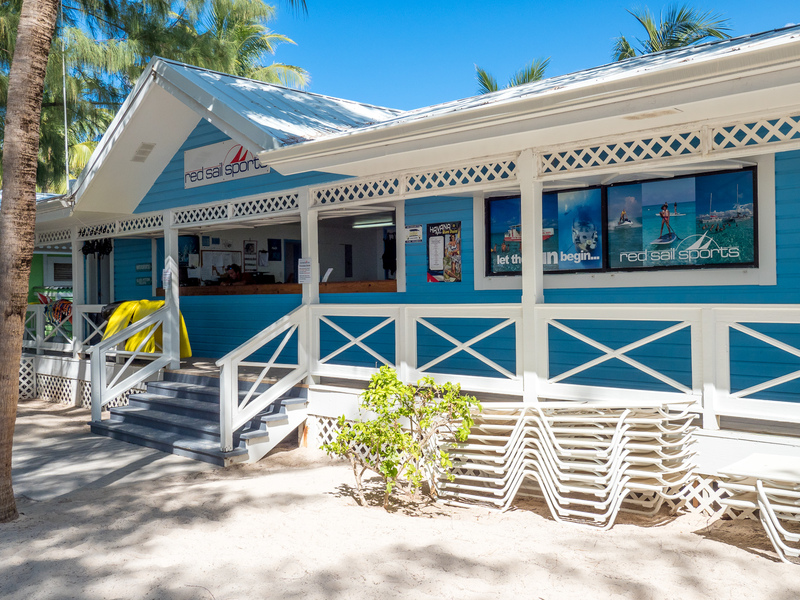 Our friendly, professional and knowledgable on-island management team will meet and greet you upon arrival, and be available to assist you with any needs during your Island Sunset stay. 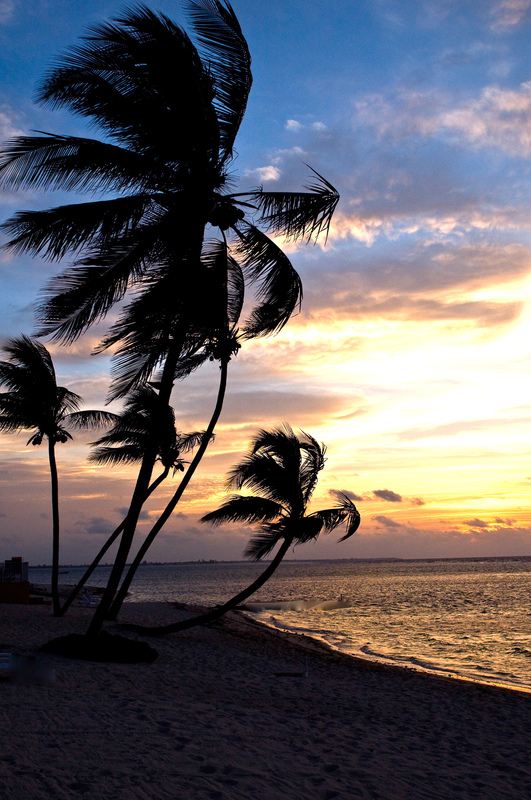 We are confident that you will enjoy Island Sunset we look forward having you as our guest. Pack n Play or crib available upon request at no additional cost. Our stay at Sunset Island House was wonderful. The home had everything we needed and more! We loved having our meals on the outside porch, and kayaking at night on the bioluminescent bay. 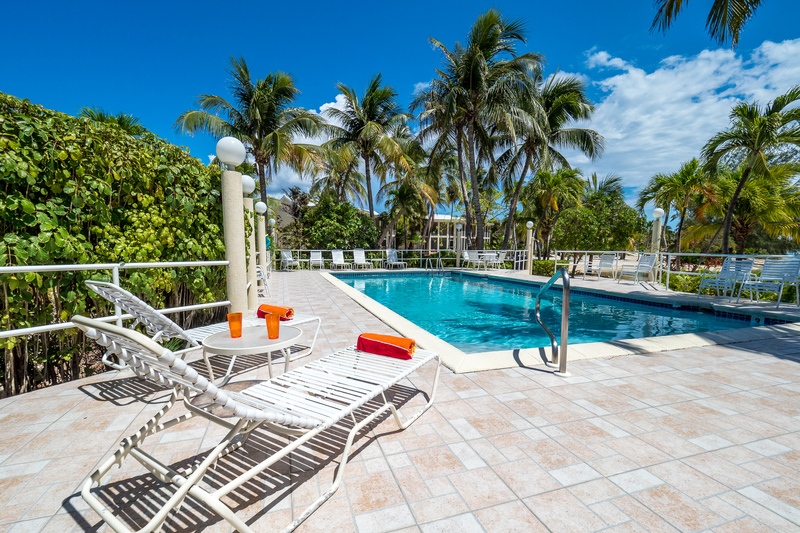 The pool was steps away as was Rum Point beach. Highly recommend! This is a great condo in a beautiful, quiet location. Lots of towels, and bedding with a well equipped kitchen. We used the kayaks daily. It was my friends birthday. We made it a girls getaway. The 4 of us enjoyed the Condo very much. Everything you need and more! We took the kayaks out every day and night. The bikes were a nice addition too. Learning to drive on the left was an experience. We drove all over the Island. We saw the Blow Holes on the east side. We went to 7 mile beach. Swam with the stingrays. Snorkeling was amazing! Craig was a big help! We wished we could\'ve stay another week! This island house was fabulous, right on an inlet bech, among million dollar homes. The house came with everything you would need for a day at the beach, including paddle boards. The house had 3 TV's with cable. 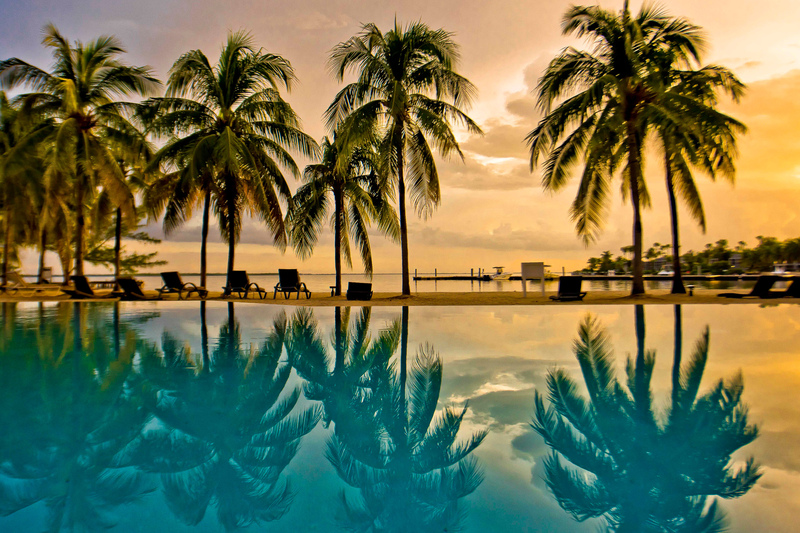 ★ ★ ★ ★ ★ What can I say, other than this place is truly a little slice of heaven on earth. The accommodations were fantastic. We literally had everything we could possibly need, and more. The charming little neighborhood of duplexes had such a cozy, quiet vibe. 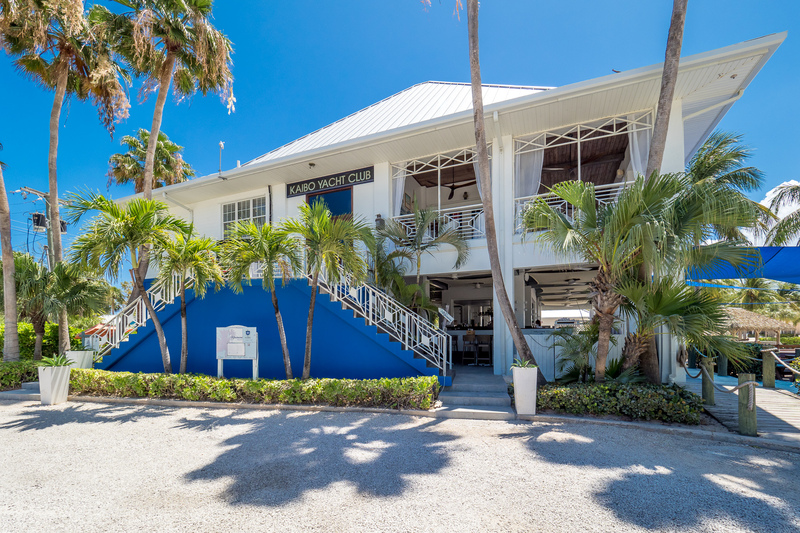 The long-term neighbors were also so very welcoming and offered up some great tips and info to make our stay even better.Rum Point Club is literally a 45 second walk across the street, where you’ll have every beach-need at your fingertips—water sport rental, stingray city boat charter access, two bars with great drinks, a casual grill and upscale dining. 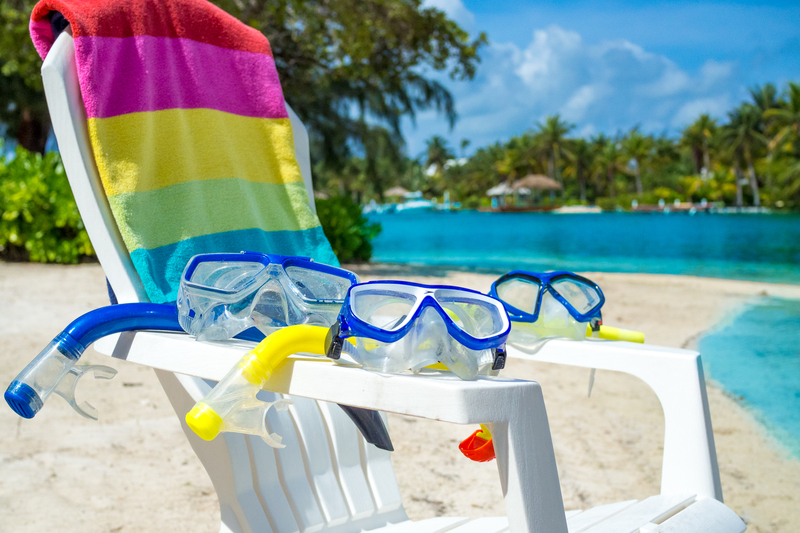 The snorkeling is also great, especially if you’re a beginner. It’s calm, yet there’s still a TON to see.Island House is also close to a grocery store, (Chisholm’s) and another great place to dine, the Kaibo Yacht Club. It has both casual and formal dining as well.We ventured out to all points of the island, but kept coming back to “home”. It was just “our speed”. Book here, folks....I promise you won’t regret it! 3rd time staying in the Island Houses and this was our favorite one. Loved the proximity to Rum Point but also the beautiful vista from the lanai. Kayaks and bikes were appreciated and the home was stocked with everything we needed for a comfortable fabulous week! Great place away from it all. 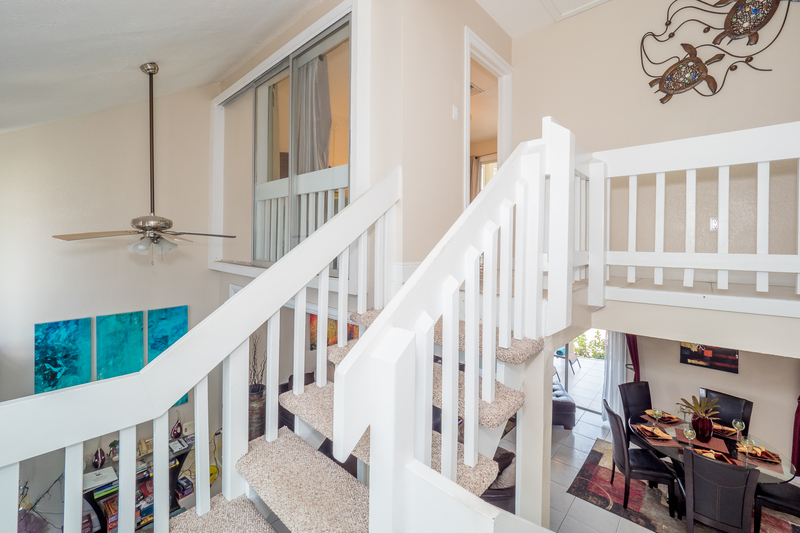 Townhome situated steps from the cove and pool. 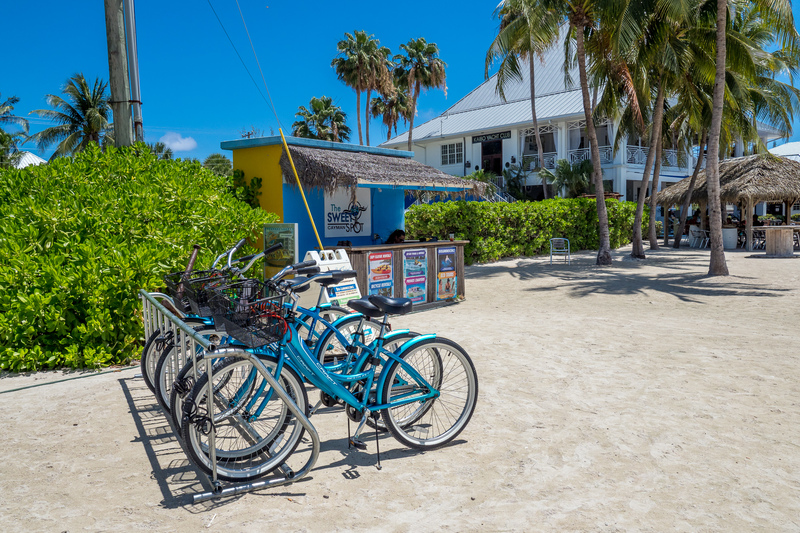 A short walk to Rum Point Beach which serves all your needs. A few restaurants a short drive on the northside of the island. Grocery store 20 minutes. 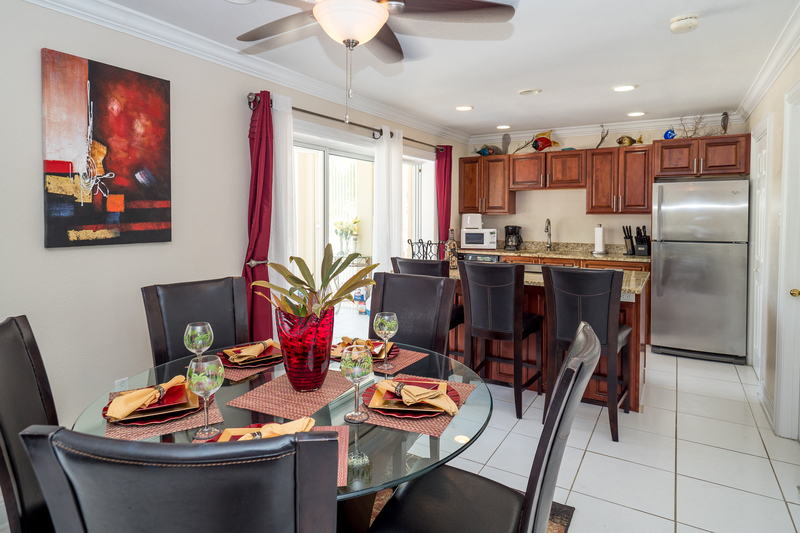 Townhome was tastefully decorated and had all you needed to get your vacation started. Downside is that it is away from it all (that's up to the vacationer), kitchen is very small with no workspace or storage for food and the light switches are quirky. In the end, the downsides really do not impact a beautiful vacation. I would stay again! Although the weather was not the greatest during our stay (tropical storms 3 of the 5 days), we really enjoyed the location and the house itself. Having the bioluminescence bay in our backyard, Rum Point only steps away and Starfish point just down the street really made our stay that much better. 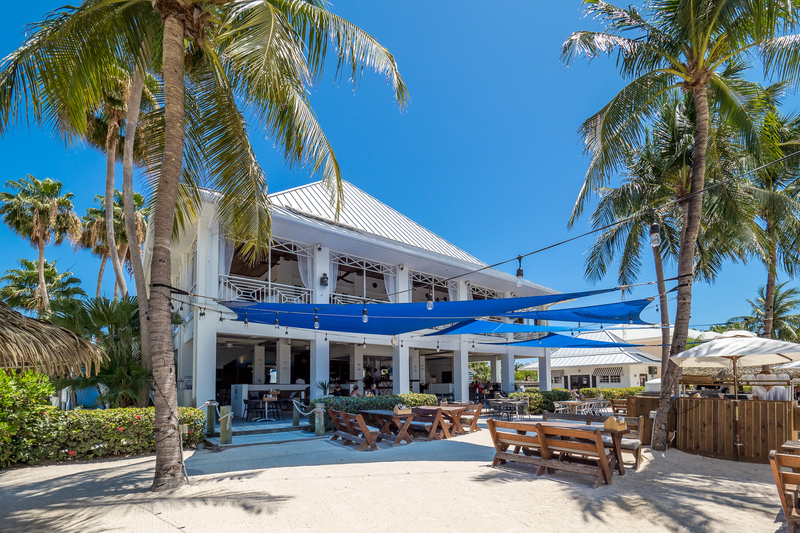 We dined at both Kaibo upstairs and their outdoor casual restaurant - both were wonderful, and had the weather been better we would've taken full advantage of the water taxi and boat charters for snorkeling that depart from the Kaibo Yacht Club. The house had everything we needed and was very up to date with all of the accommodations and furnishings. It was really comfortable for a family of 5. We spent most of our time out on the lanai, even in the bad weather. We took advantage of the kayaks a few times as well. Even though it is approx. 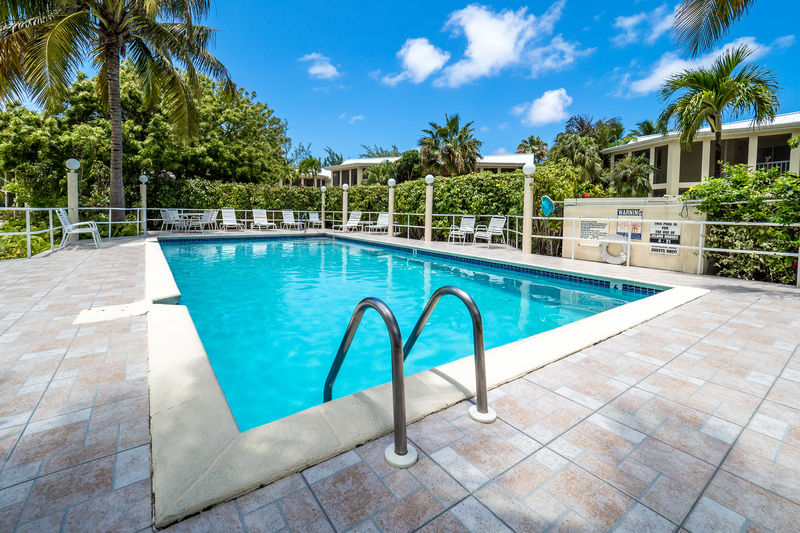 45 minute drive to West Bay/Seven Mile Beach, we would highly recommend this location and the Island Sunset House for anyone looking for a relaxing vacation on the island. The house had everything needed for a relaxing vacation! The location is perfect! 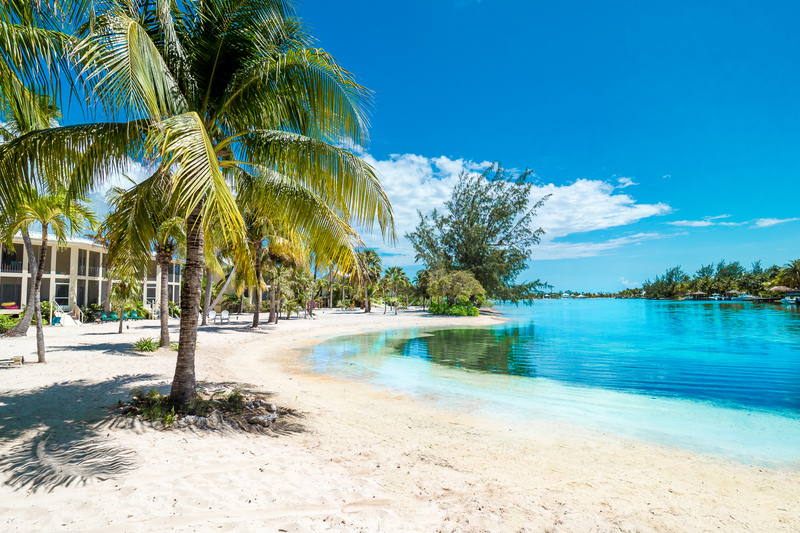 So close to Rum Point for activities and on a quiet cove for tranquility! We were two couples and stayed for 10 days and this condo was perfect. It is big enough and the two bedrooms/bathrooms are separate to give you privacy along with your own balcony. 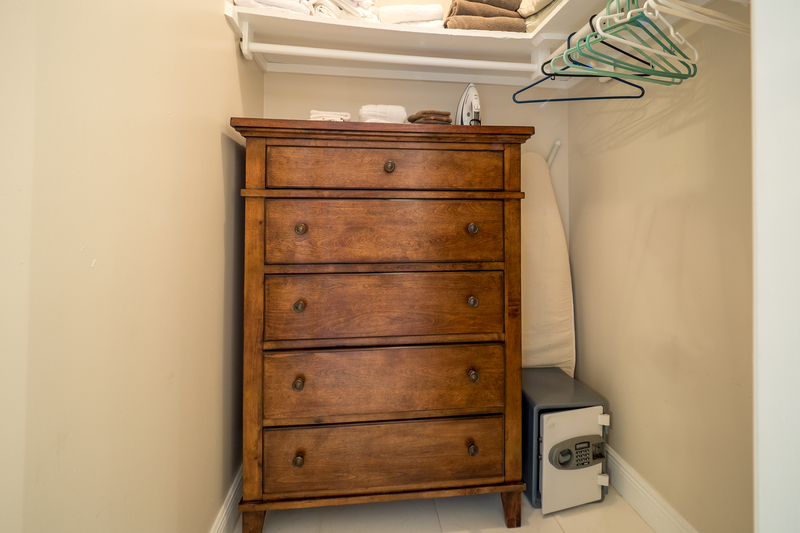 The unit is exactly as the pictures show, very clean and has everything you could need, we were missing nothing. It was great to have our breakfast overlooking the cove in the morning watching fish play and a glass of wine at night. 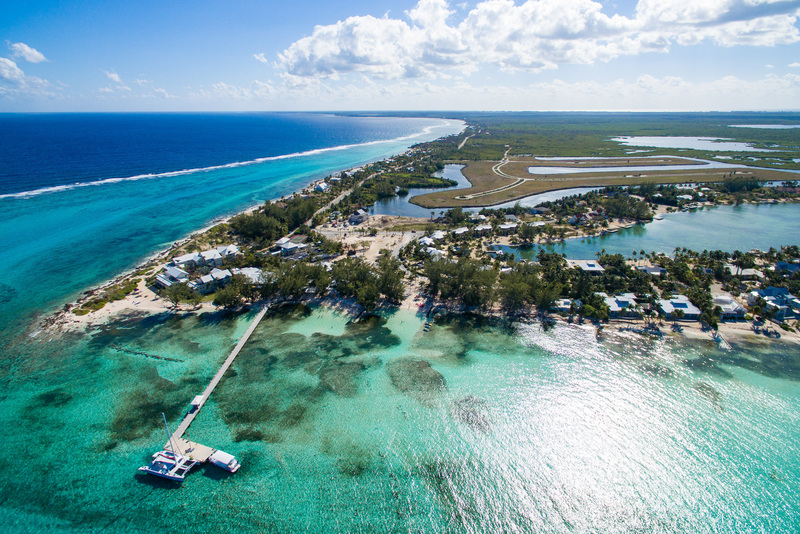 Rum Point and Island house is the best place as far as we were concerned to stay in Grand Caymen, quiet, beautiful beach, lots to do and great snorkeling. A few must things to do includes the free tour of the Bio Bay at night in the kayaks, simple breathtaking, never saw anything like this before. Sting Ray City is a must, we took the catamaran and had a great day, they are beautiful and gently creatures, see the Crystal Caves and visit Starfish point. We ate at the Italian Kitchen (very good), the Lighthouse, expensive but worth it (sit outside on the dock), lunch at Rum Point while enjoying the beach (good value and good food, drinks are not cheap) and dinner there as well (very expensive). We would easily rent there again and would definitely recommend this condo, great place for a relaxing vacation! 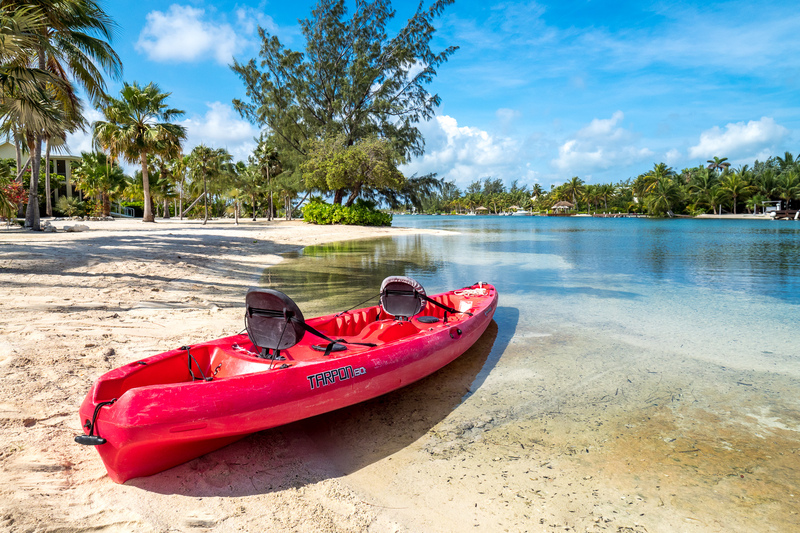 The only thing we would recommend is a paddle boat rather than kayaks, but this is just our personal preference and be aware that the island is more expensive than other islands. We visited George Town and Seven Mile beach, but truly could not wait to get back to Rum Point.....thank you for sharing your place with us! We loved our stay at Sunset House #16 Cayman Kai's. 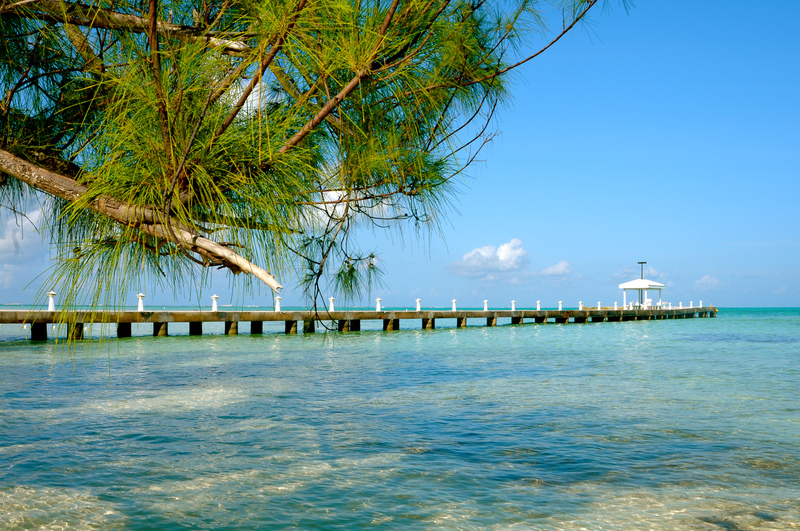 This is our second stay at the Kai's and 4th time to Grand Cayman. The house is very well appointed with everything you need to cook anything for yourself, or just make fruity rum drinks all week. (coffee maker is drip, in case anyone is wondering if they will need pods, etc lots of filters in the cupboard, so don't buy any.) Lots of towels and good linens. 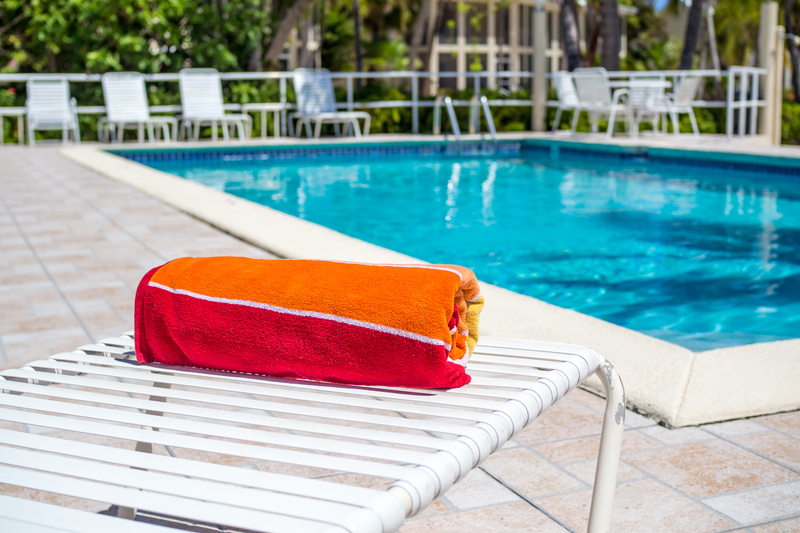 Lots of beach towels. The kayaks are great and there are lots of paddles. I seem to remember seeing someone mention they needed paddles but there are more than enough. Wanted for nothing, save some seat cushions on the patio furniture. Plastic wicker was a little uncomfortable on bare legs, but we can imagine that cushions wouldn't last long in salty, humid air. This rental is in a quiet, off the beaten path area. A car is a must. There is no nightlife, clubs, casinos etc. 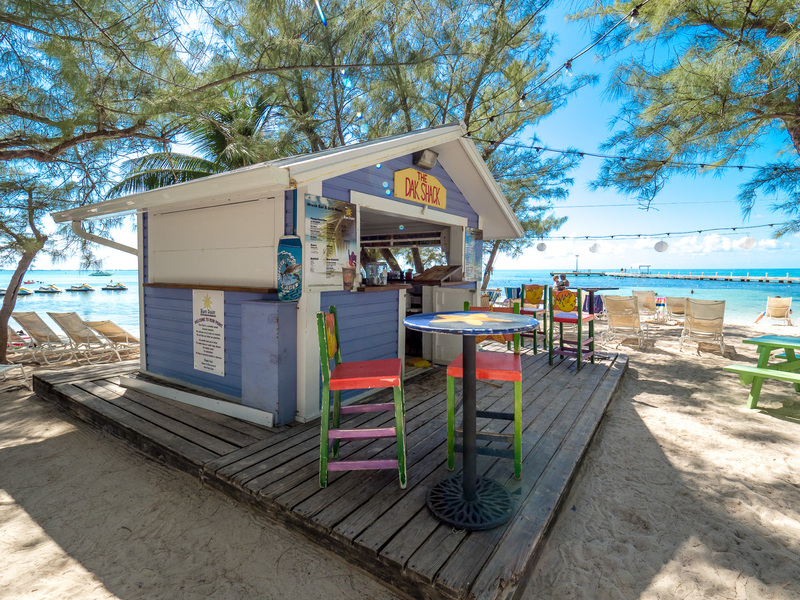 A couple of restaurants within walking or biking distance, beach bar at Rum Point. 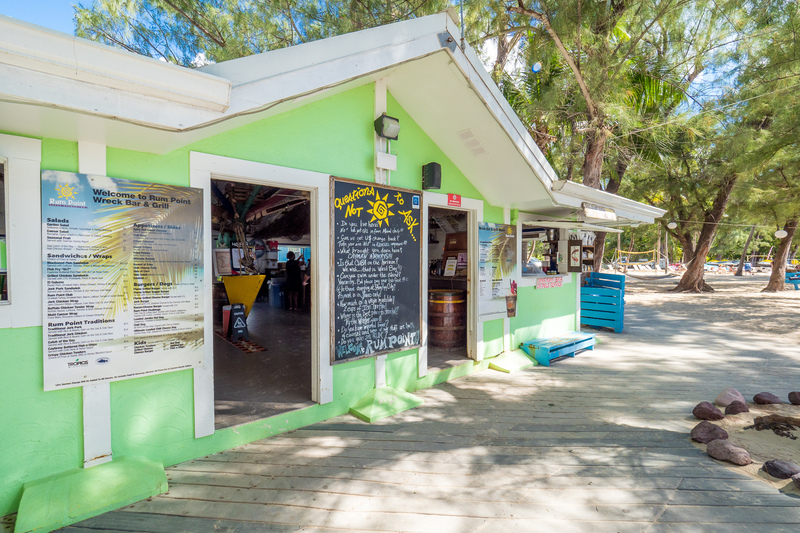 If you don't mind a drive for food, skip the Rum Point restaurants, you won't miss much, and head (8 min drive) to Kurt's Corner at Old Man Bay. Take out or eat in their palapa. This is real island food. Fresh and very good. If the curried grouper is on the special board, do not miss it. Another not to miss spot is Mrs. Vivien's Kitchen in East End. Also real island food. Oxtail with rice and beans, fish, chicken with dumplings etc. Lots of good places to eat, but these authentic spots stand out in your memory after you get home and the sand is cleaned out of your suitcase. Great place, especially with young kids. House is very well kept. 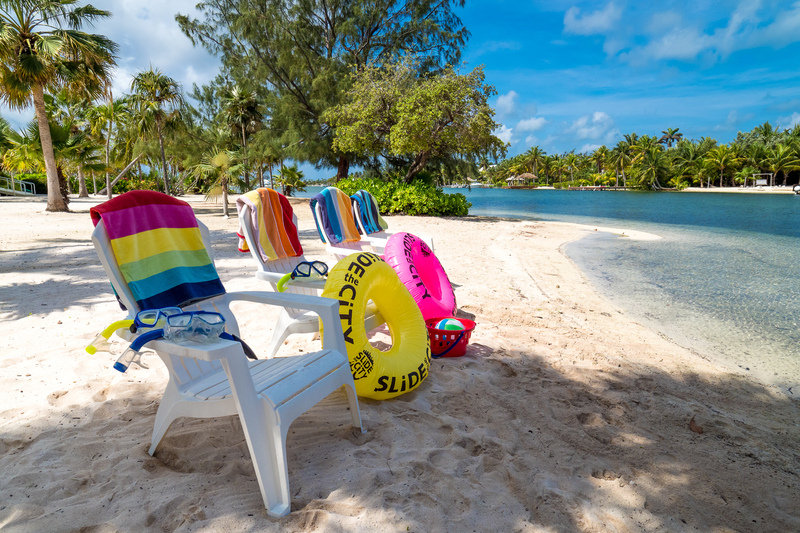 This was our first visit to the Cayman Islands and we couldn't be happier that we decided to stay in Rum Point. 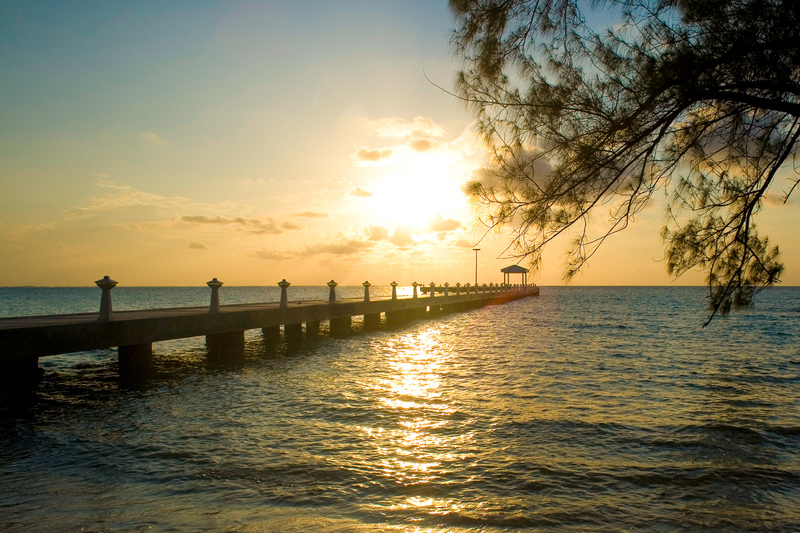 We ventured down to Seven Mile and George Town, but preferred the peaceful serenity Rum Point has to offer. The Island Sunset was just perfect for our family of six. We took full advantage of cooking breakfast and dinner, but ate lunch out most days at the Wreck Bar. The food was excellent and the kids loved the smoothies. We did go to Kaibo for Tuesday night beach BBQ. This was well worth the money spent. The band, Bona Fide-Cayman was so much fun, the kids loved it. We all danced and had a great time. 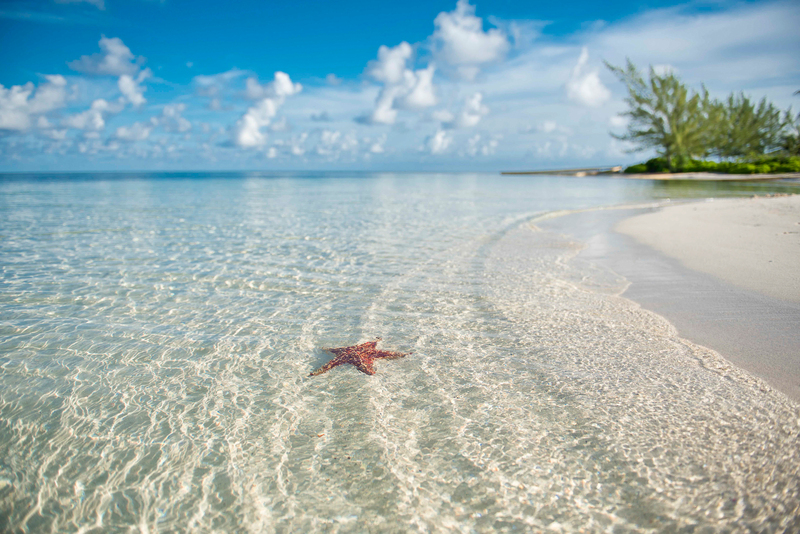 We also loved to go down to Starfish beach. The water is spectacular. We actually kayaked there one day from the Island House. If you do choose to do this, just make sure you don't do this on a windy day. Snorkeling at Rum Point Beach was a favorite as well as nighttime walks to the Pier. We saw many stingrays, barracudas and other various tropical fish. We would highly recommended staying here, unless you prefer a more touristy area. Can't wait to come back some day. We stayed at island houses last year in the property next door, and although that house was good this property was far superior as it had been fully refurbished, it was very clean. The views are fantastic and it is perfect to sit out in the morning, relax by the pool in the day cook a BBQ in the evening. The only things that stopped us from scoring a five star was the main patio door from the kitchen to the lanai was hard to operate, the kitchen lacked a sharp knife, proper wine glasses and BBQ tools. We would definitely return though. have been to Grand Cayman, Bahamas, St. Croix before this trip. I am very particular about my accomodations.... It costs a lot of money to go on a vacation and I want to feel like our money is well spent....AND IT WAS!!! The first two nights on Grand Cayman we stayed at The Marriott. It was awful! The rooms smelled, the beach was small and the water was not what I remember from 30 years ago. I was so disappointed....UNTIL we got the this condo! The location was AWESOME! 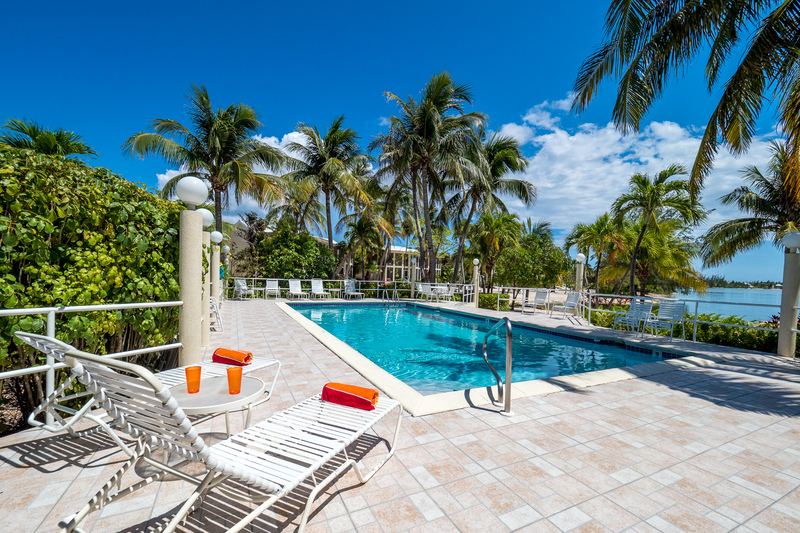 The condo is a short walk to beautiful Rum Point Beach! It is also a short ride to Starfish Beach (which is also gorgeous!) The best feature is the Beach Bar! It wasn't rowdy or crazy...It just added atmosphere and plenty of refreshing Pina Coladas and Mudslides, as well as smoothies for the kids! The chili fries were so good! And the prices were much more reasonable then anywhere else we had been on the island. The house is perfect for a family of four. 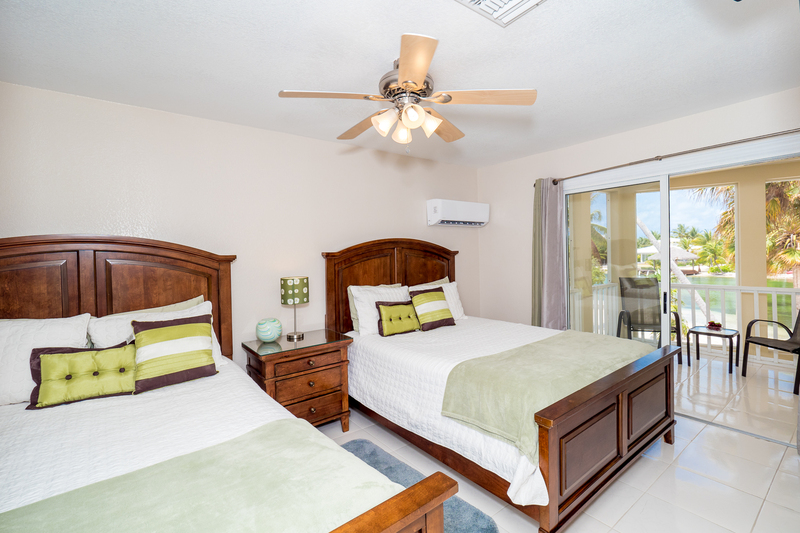 Each bedroom feels private, so mom and dad and have their own space....Loved the doors that opened to the Lanai! How awesome it was to open up the entire downstairs to fresh air and it was all screened in! Loved the upstairs screened in decks, also. Beds were comfortable and bedding was white and new and wonderful! Everything seemed relatively new and in great shape. Shower pressure was even good. It was very clean. Better than ANY hotel!!! Kayaks and bikes are a great feature! Kayaks on bio bay at night are a must! 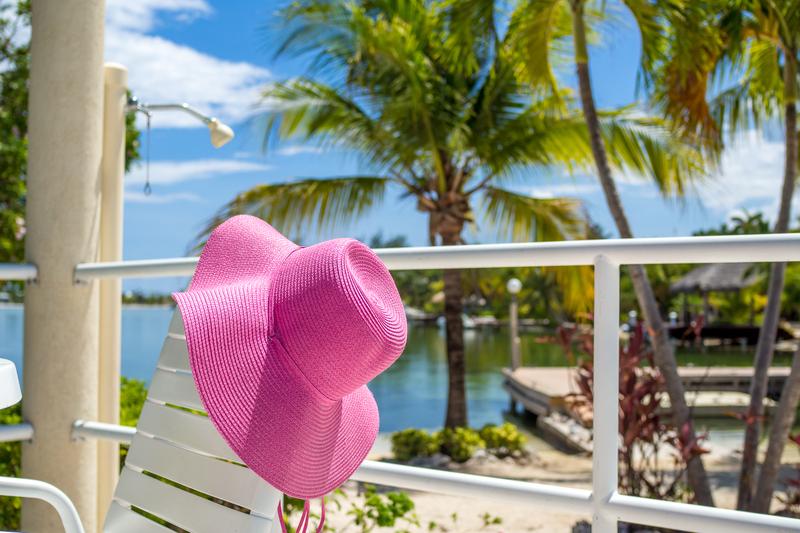 We just returned from spending 9 wonderful, relaxing days at Island Sunset. We had never traveled to the Caymans before, and we fell in love with it! The house is spacious and very nicely decorated. I cant think of one thing that we needed that it didn't already have! Loved the fact that it was completely updated! It was plenty of room for my husband, myself and our 21 year old daughter! 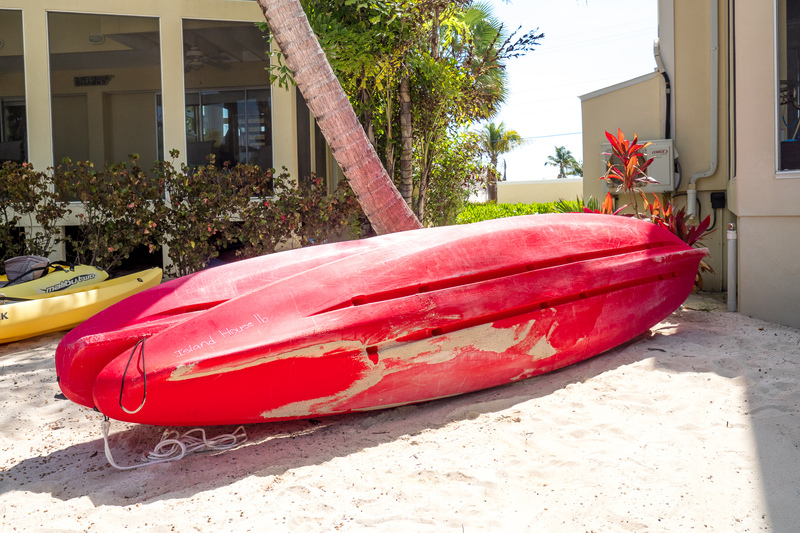 We experienced a few days of rain at the start of our trip, but we still took advantage of the kayaks and the bikes regardless of the weather 🙂 We also spent those days on the lanai playing some of the board games provided at the house. Thank you for those! 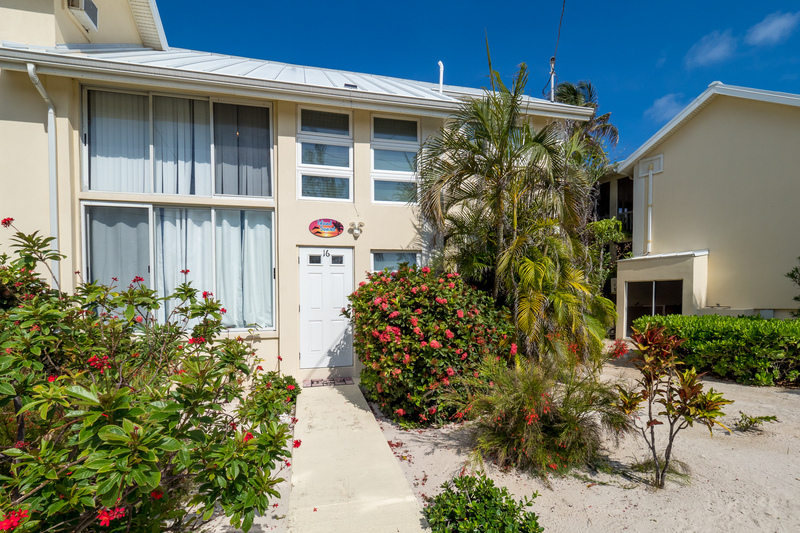 Loved the location of the property, it was so convenient to just walk across the street to Rum Point and enjoy the beautiful beach there. The snorkeling is fantastic, and we enjoyed that immensely. Rode the bikes to Starfish Pointe a number of times, that was fun...and we have some great pictures of that! Stingray City is an excursion that you must not miss out on....it was definitely an adventure that we will not soon forget! We had the pleasure of meeting Chris, the owner of the house, while we were there. He is incredibly friendly, accommodating, and knowledgeable about the island. He recommended some great restaurants for us to try, as well as the best snorkeling spots! 🙂 We truly enjoyed our vacation on the Island and our stay in Island Sunset. We are already talking about when we can come back! This place is fabulous! I would just like to reiterate what all the other 5 star review stay. It was a great place for us to stay on our vacation. Our teenage daughters shared a bedroom upstairs and we had the master. This left a ton of room downstairs for everyone to hang out in. Much bigger and better than a typical two bedroom condo. I found this place to be a real bargain for all that you get. The kayaks and bikes were great. We got out on the cove several times and even got to see the Bioluminescence. It depends on the phase of the moon, but with a little cloud cover we got a really good viewing of it on a moonlit night. 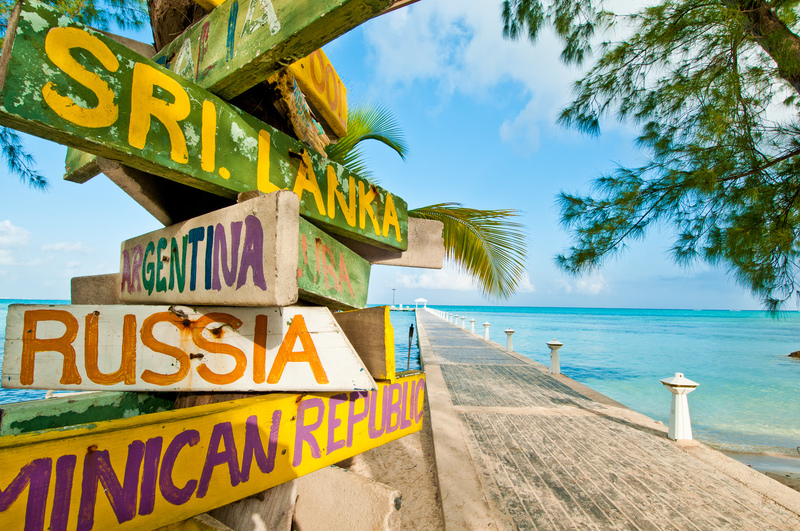 There is a lot of things to do at this tip of the island. 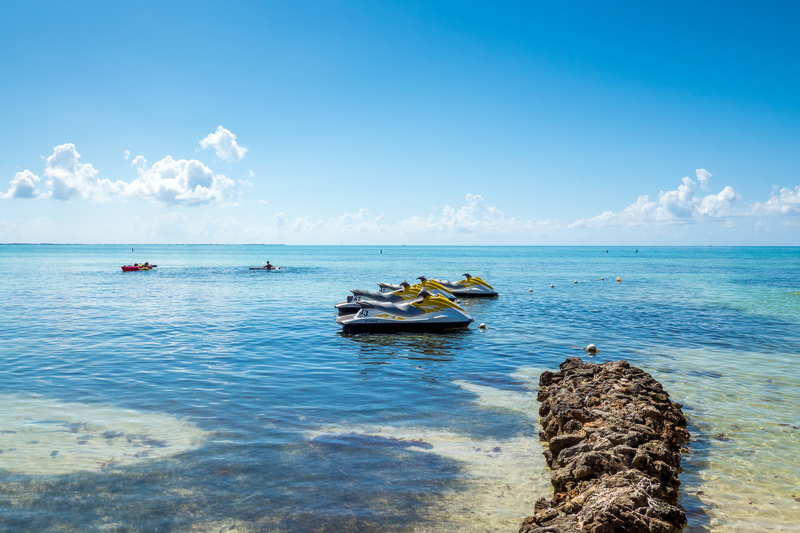 Here are some things we did: - Hang out at the house, cove, or pool - Kayak around the point. 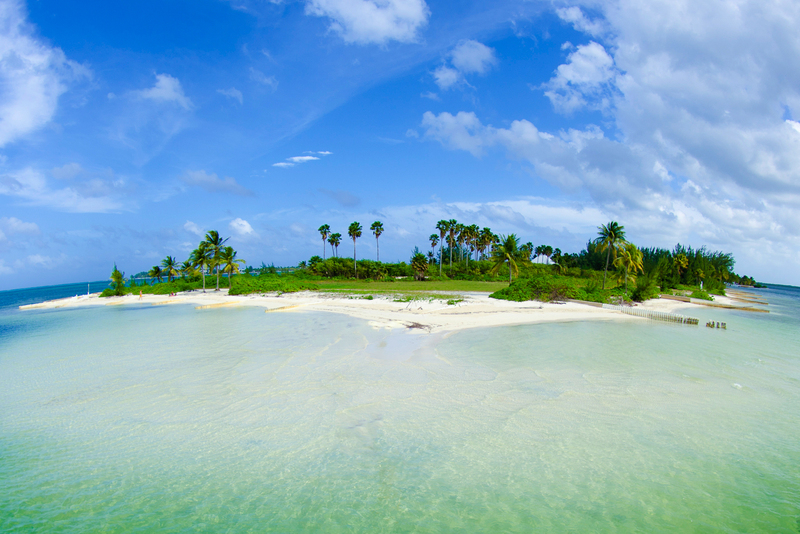 stop on a secluded beach and take a swim - Walk 2 minutes to Rum Point, right across the street. There they have beach chairs, bar, restaurant. 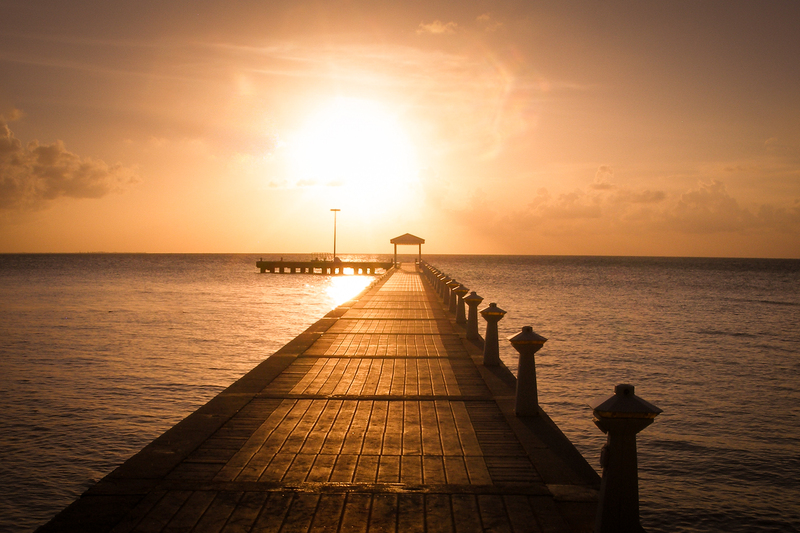 You can walk out on the pier, see the sunset. My younger daughter got her hair braided by the lady who has a little set up there. The snorkeling close in just to the right of the pier is pretty good and anyone can do that. 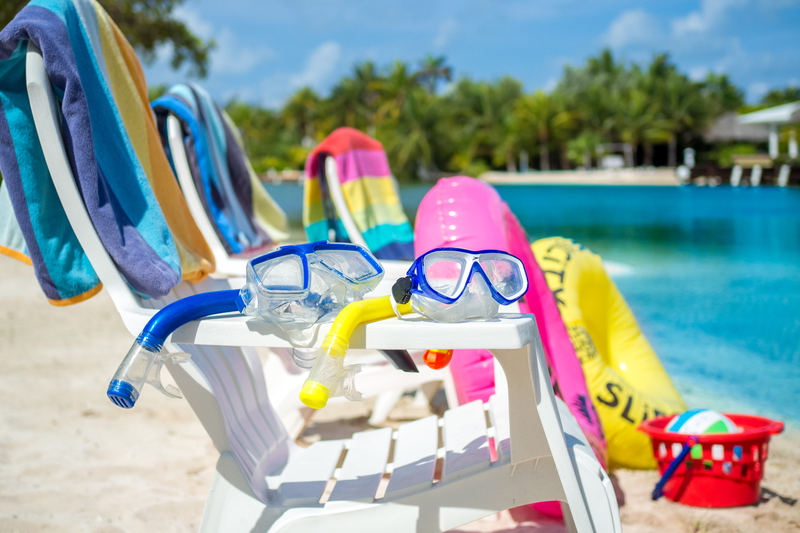 If you are a strong swimmer you can swim out about 250 yards in front of the Retreat condos and do some absolutely fantastic snorkeling. 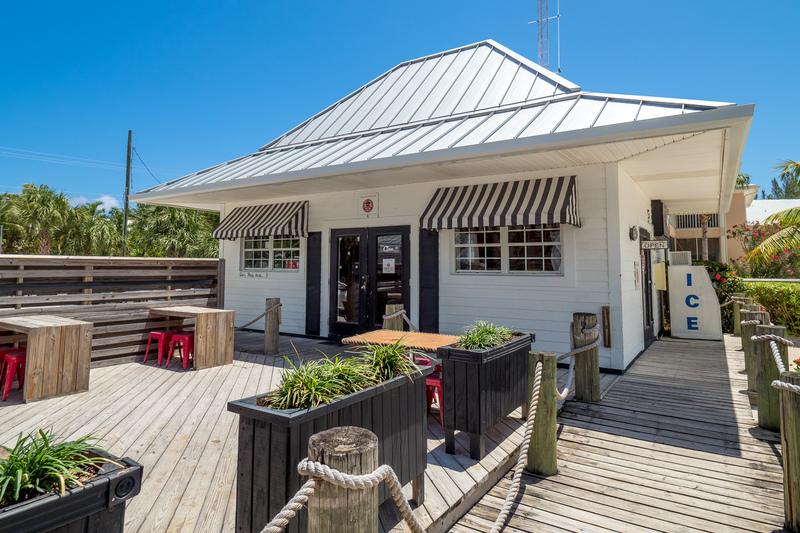 - Visit Kaibo yacht club/restaurant just about one mile down the road. We had a fantastic dinner here one night. We also loved their Tuesday night beach BBQ. And we had lunch here another time. 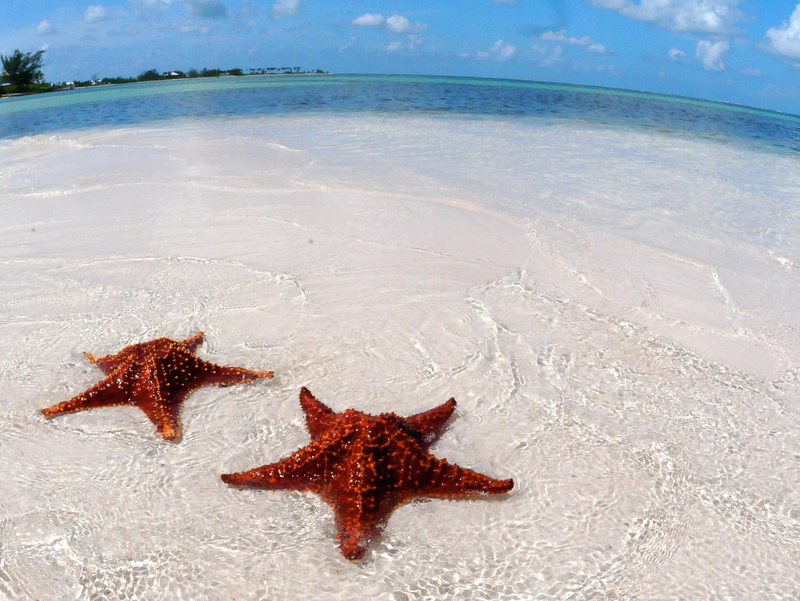 - Visit Starfish Point. This is just 1.5 miles and a great place to bike to. We visited several times. We enjoyed our week long stay. The beautiful condo met all our needs. Since we were on the North side of the island away from the boat's traffic, we found it to be very quiet and relaxing. We enjoyed walks every morning down the mile stretch from the condo to Kaibo. Being right on the cove and having kayaks for our use was incredible. Since eating out was expensive we took full advantage of the kitchen and was very pleased with the high end range's performance, and having a BBQ grill at our disposal was a plus. The times we did eat at neighboring establishments we found Kaibo, Over the Edge, and the Lighthouse to be excellent choices, but the Lighthouse was a bit pricey. Overall we had a great and relaxing time. Immaculate and great place to stay with kids! Wow! This was our first time traveling to Grand Cayman and the first time taking our children, ages 8 and 10, on a winter trip. Island Sunset exceeded our expectations for this adventure. Island Sunset was exactly shown/described in the overview. Everything new, clean, and top of the line. The beds were comfortable, the water was hot, the kitchen had everything we needed and the air conditioning worked great. They kayaks were a lot of fun and the pool was clean and comfortable. 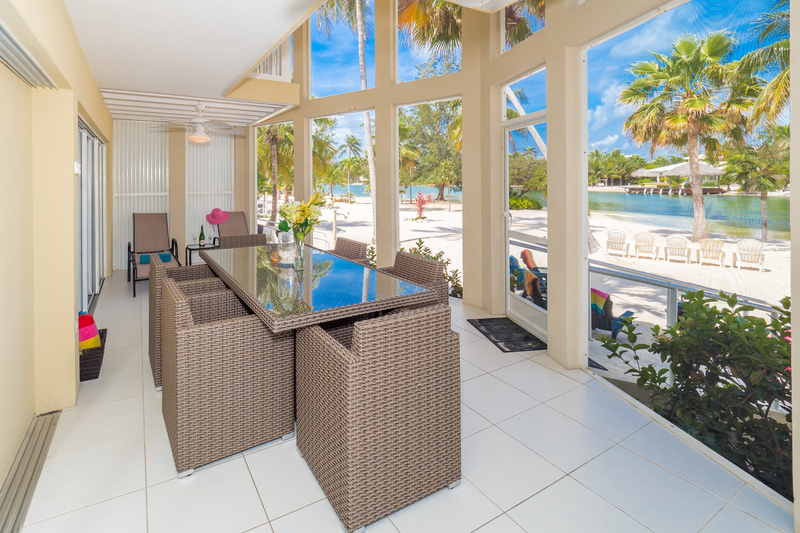 The best part about Island Sunset is opening the 6 panels of glass doors, letting the breeze flow through and gaining another room for eating and relaxing. It opened up another whole living space that made you feel like you were outside, regardless of where you were at on the main level. The location was perfect for our family. Our kids explored the cove every day on their own, finding hermit crabs, blue crabs, snails, fish, geckos, shells, frogs, iguanas, and a moray eel. It was like having a playground in their own back yard. 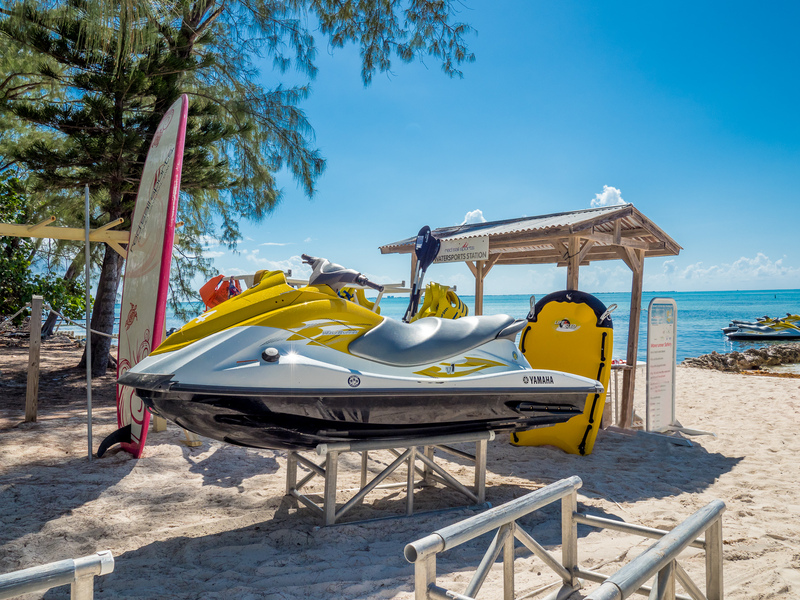 It was a 3 minute walk over to Rum Point beach where the snorkeling was good and water sports were available. It was great to walk over with a beverage and watch the sunset from the dock. Then go back, eat dinner on the porch, and relax. The evenings on the porch were very quiet. I can't say enough good things about this location; quiet, low key, relaxing, close to Rum Point and good snorkeling. Our favorite restaurant was the Italian Kitchen, about a 20 minute drive on the east end. It was better than most Italian I've had in the US. There's also a smaller Fosters Market and a Wine/Liquor store there. Our family felt right at home! 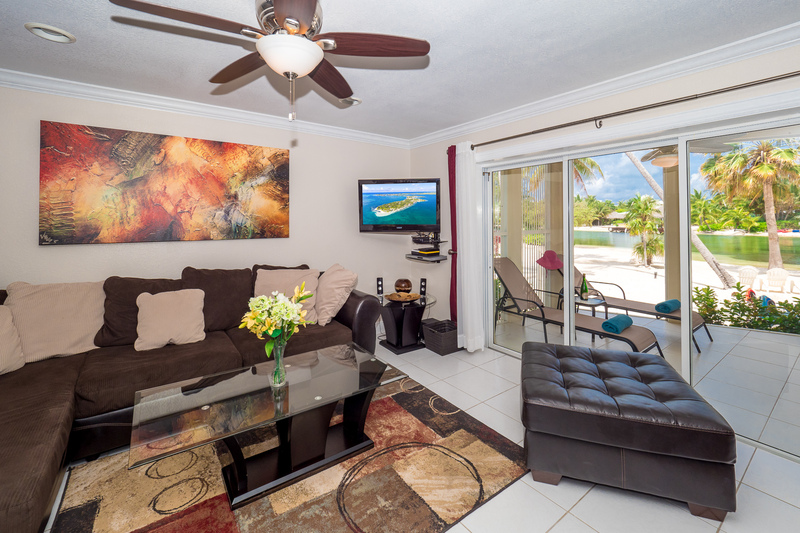 Awesome, very clean, and right on the beach in the cove - love the kitchen upgrades, comfy livingroom furniture, outside lanai eating area, and really appreciated the air-conditioning. Was perfect for our family with two teenagers and the fact that while they shared a bedroom, they both had their own queen bed. Enjoyed our morning coffee every day on the balcony off the master bedroom. The Rum Point area was very quiet while we were there, and we found the whole cove, beach area and swimming pool very peaceful and relaxing. 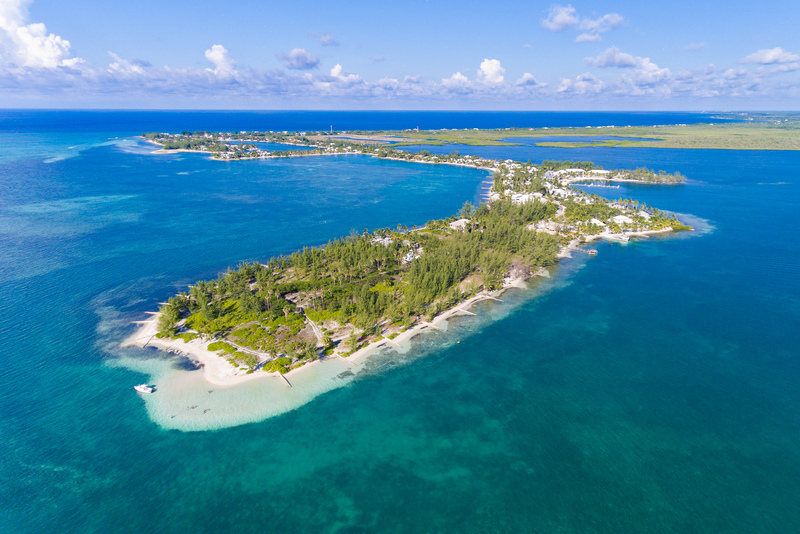 It was nice to visit Georgetown for shopping, excursions, groceries, etc., but it was really nice to leave the crowds behind and go back to Rum Point!! Loved the island, the crystal clear blue waters, great beaches, but we weren't impressed with any of the restaurants we tried -- thankfully we had a beautiful kitchen with everything we needed for preparing our own meals (we missed having a propane bbq, but managed to get the hang of cooking over briquettes after a few days). Had a great time using the kayaks and experiencing the bioluminescent waters. Thank you for sharing your home with our family! Island House 16 is a fantastic place--we had the good fortune to meet Chris and Lori (the owners), who happened to be vacationing on-island at the same time (and stayed in their unit prior to our checkin). Very nice folks who take pride in their home and accommodations for their guests. The unit is completely and beautifully updated and well cared for (as is the entire complex--homeowner's association obviously does a great job). 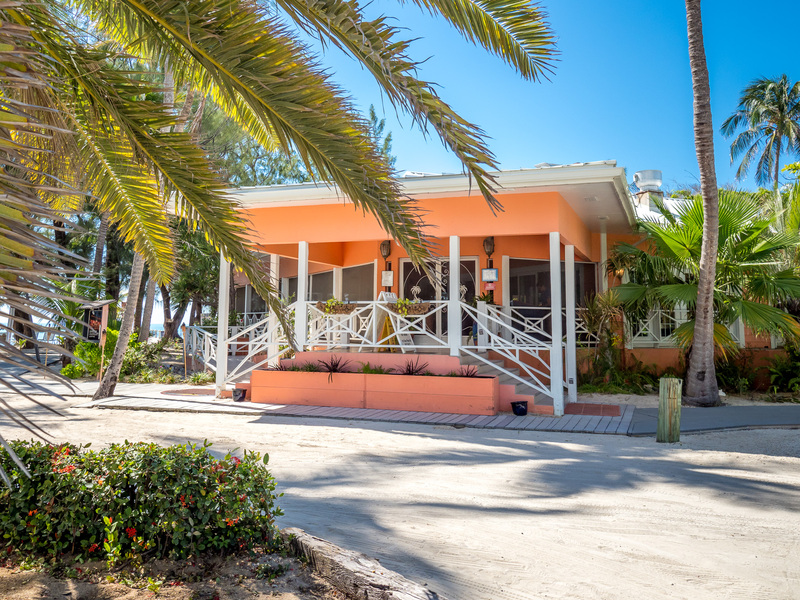 In general, so many rentals on the island are tired and outdated--not here! Very spacious for 4. Upscale, but not stuffy (very comfortable). Bikes and kayaks are a great perk. The first night we kayaked the bay (literally steps out the back door) and experienced the bioluminescence--amazing!! Beautiful views of the bay/water from every room. Better than the pictures depict. Extremely convenient to Rum Point (our favorite spot on the island)--a 2 minute walk just across the complex. Lots of beach towels provided (I think we counted 12? ), which was very convenient. I also loved the excellent water pressure in the shower. 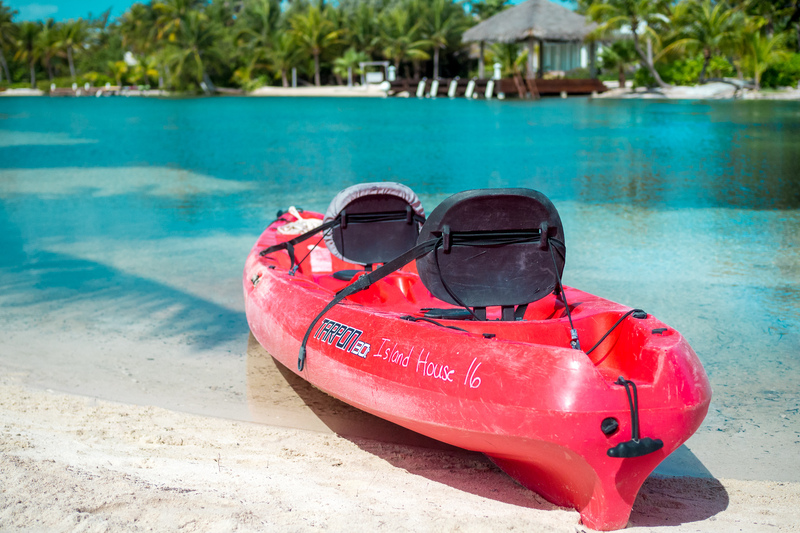 Ths is a fantastic rental option, and this will be our first pick next time we return to the island. 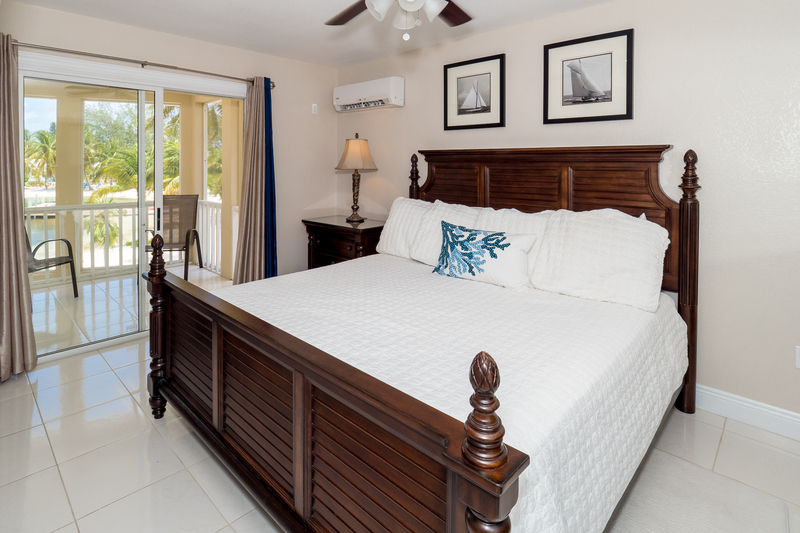 The owners did a very nice job updating the townhouse with modern but also 'workable' furnishings which is needed on such a beautiful, sandy beach. The kayaks were a nice touch which we spent quite a bit of time on enjoying the bioluminescent cove after dark. The house had nothing lacking whatsoever. The island is expensive from a cost of living standpoint but worth the investment. Make it a point to enjoy a 'Tastings' dinner at the Kaibo 'Upstairs' restaurant but know that you virtually can't go wrong with any of the dining choices on the island. Lots to do and friendly people quick with a wave and a smile. Our family had a wonderful vacation while staying at the Island Sunset island house. The nicely renovated house had a fully stocked kitchen, towels and comfy linens were provided as well as nice large beach/pool towels. 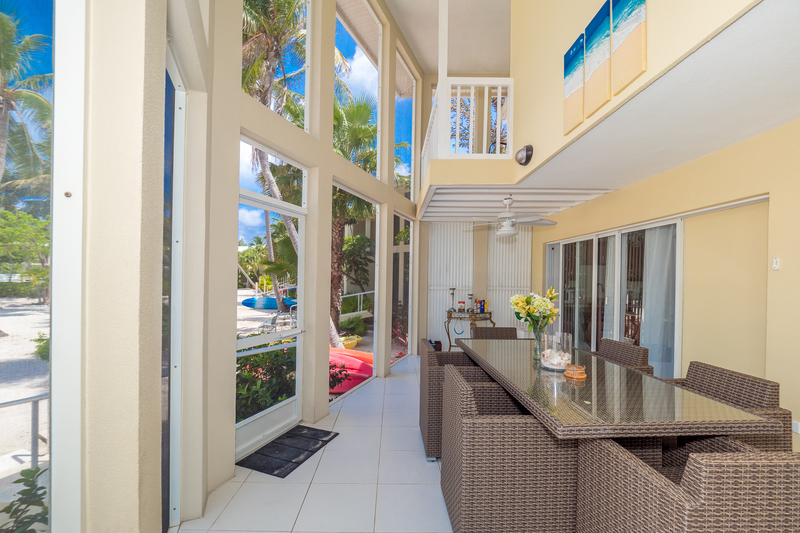 We loved how the house opened up to the spacious screened porch for that airy, island feel. Our entire family, including children ages 5 & 8, enjoyed many kayak excursions in the kayaks provided with the house. The kids were captivated by the bioluminescent bay on our night kayak ventures. 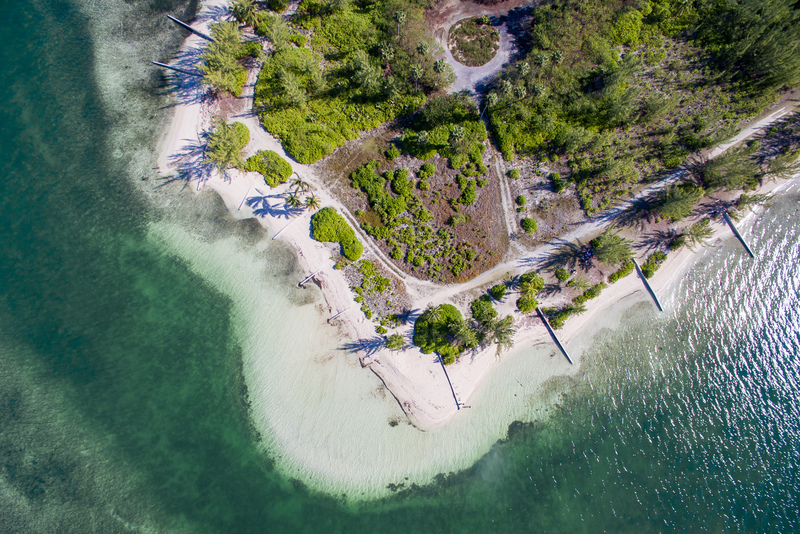 Rum Point beach is just across the street and offers water sports, food, and a nice beach- perfect for swimming and snorkeling. 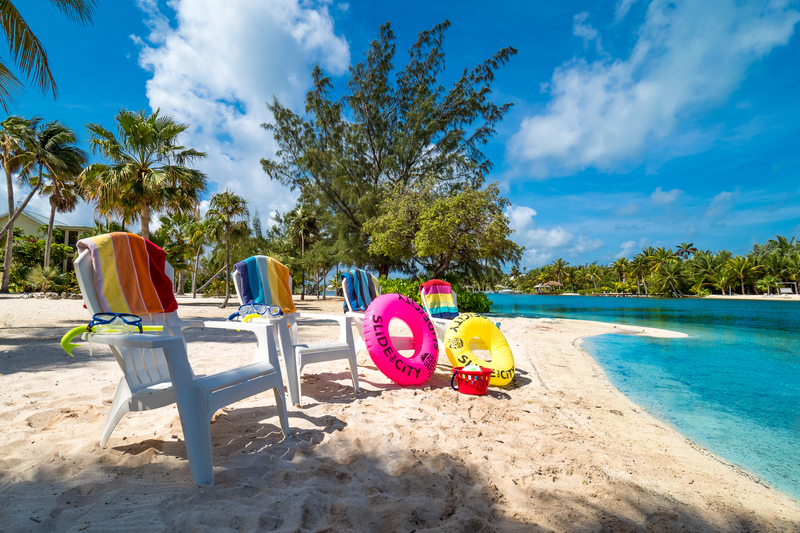 Our kids also enjoyed the salt water pool located just steps from the island house. The local Cayman Kai Vacations property manager was always available for any questions we had and the staff was very helpful as well. We thoroughly enjoyed our vacation, would definitely return, and highly recommend this great Cayman Kai home! We really enjoyed this rental property. 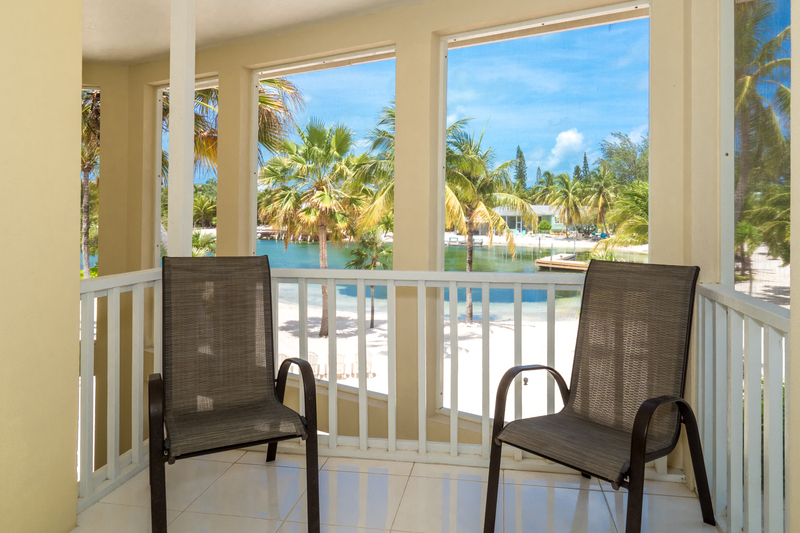 A beautiful view of the cove and only steps away from the ocean and Rum Point. Gorgeous beach! The unit was well equipped and suited two couples beautifully. 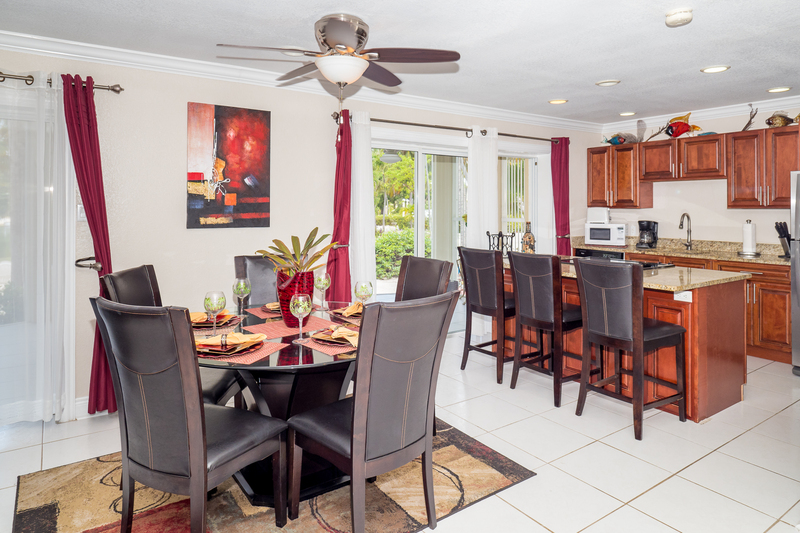 The nights we cooked in we sat on the lanai and really enjoyed having the spacious table and chairs there. Hands Down the Most Fantastic Stay We Have Ever Had! We stayed here for 5 nights. My wife and I celebrated our 5 year anniverssary. From start to finish this trip was absolutely perfect and very Romantic. The owners Chris and Lori were a delight to work with and so was the management company. The transaction was easy and secure as well. 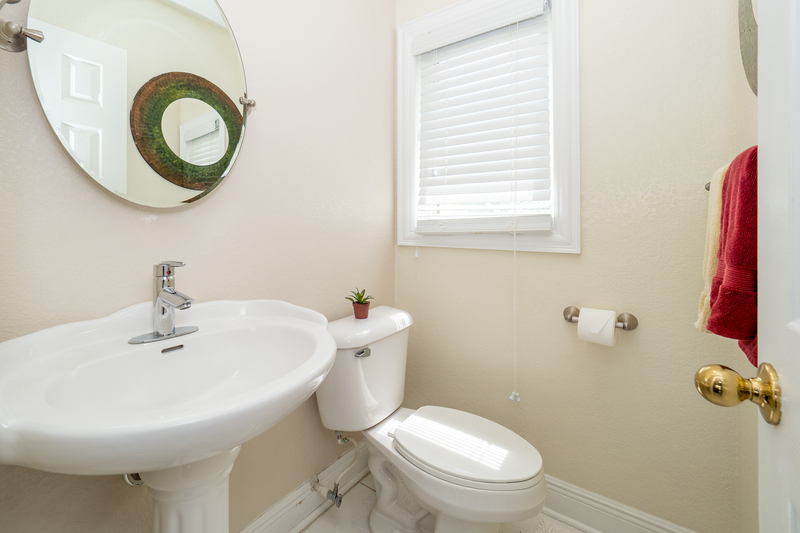 We were provided with everything one needed to locate the property with ease. We were also provided with maps, pictures of local buildings and landwarks for reference, and detailed directions. 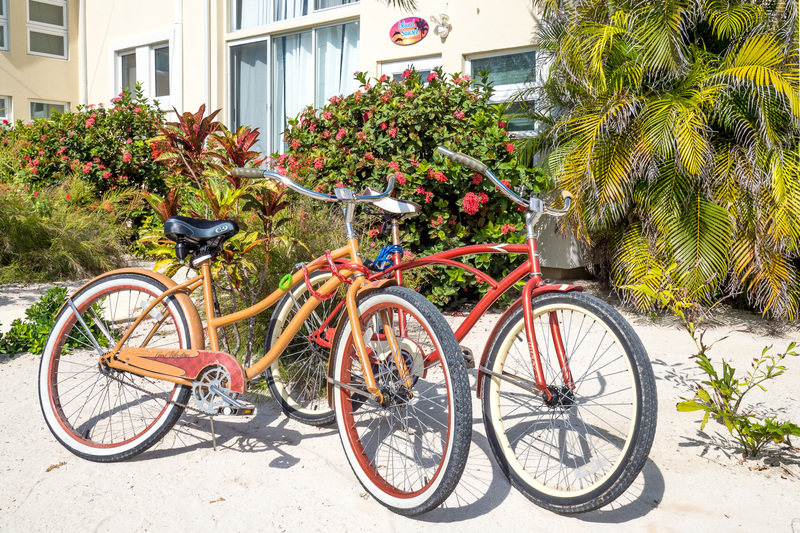 If you stay in Rum Point you will need a rental car. We were also provided with information on activities locally and around the island. Before arriving we felt we were very prepared just by the information that was provided. We stayed in the island sunset house No 16. The property is all around amazing. The pictures portray the property exactly. We immediately felt at home when we walked in. The house is beautiful and fully remodeled. Beds and couches were comfortable and tons of space for all belongings throughout. 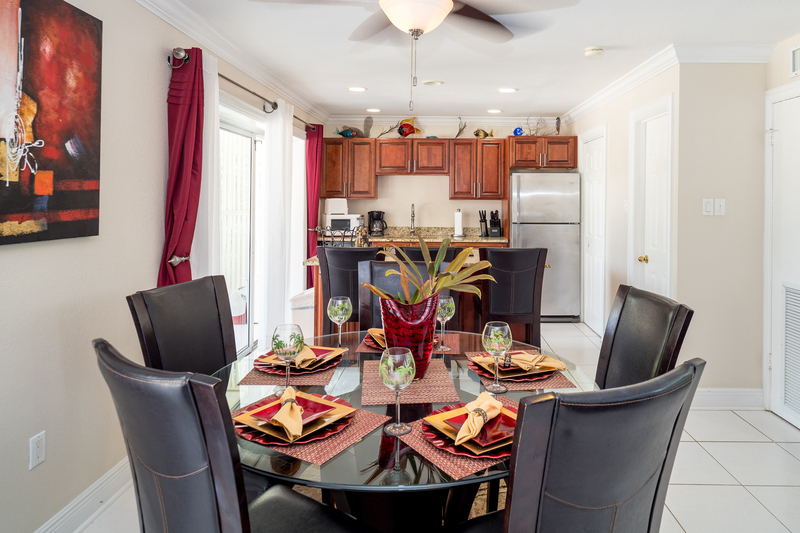 The entire house has been updated including appliances, countertops, and televisions. The house has everything you need. Bikes, kayaks, towels, WIFI, and free calls to the U.S. The location is perfect as well. 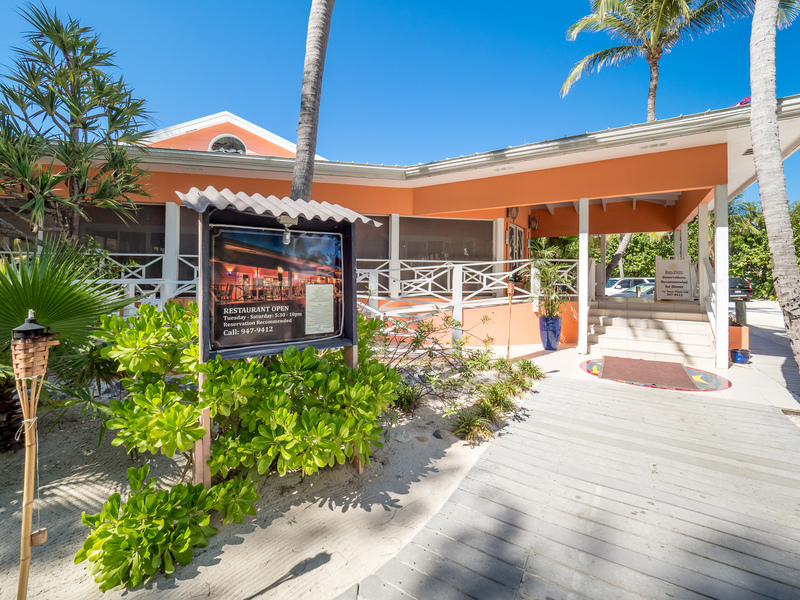 The location has an amazing beach, great food, and even live entertainment on some nights. The atmosphere at this end of the island is relaxing and one of enjoying life. With older adults and families enjoying the pristine beach, you do not get the bombardment of crowds. All reccomendations for rentals cars, grocery stores, and restaurants were perfect as well. Pictures simply cannot capture the beauty of “Island Sunset” Island House. 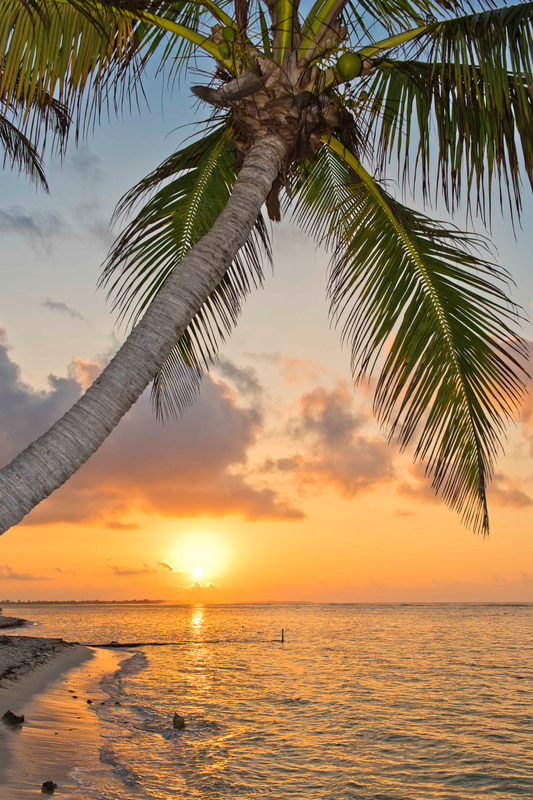 “Island Sunset” was one of our most relaxing vacations. Many activities. 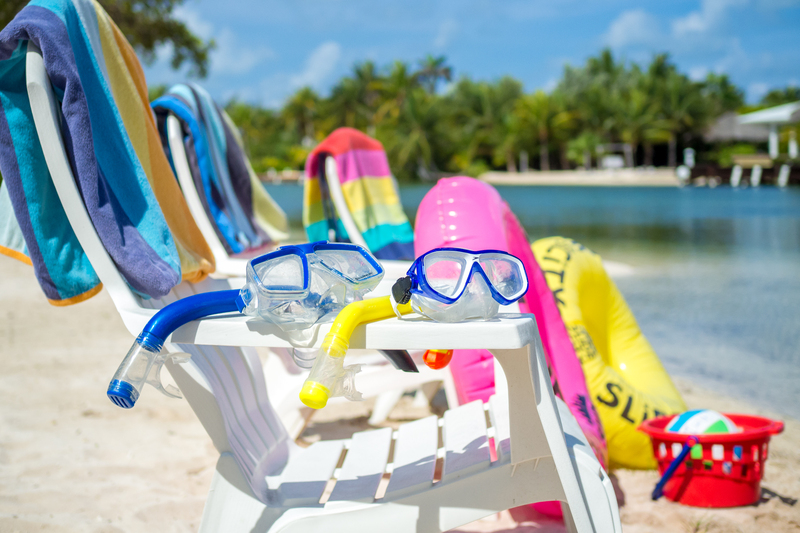 (jetskis, boat tours, and shopping), along with food and drink available 7 days a week, plus snorkeling at any time. 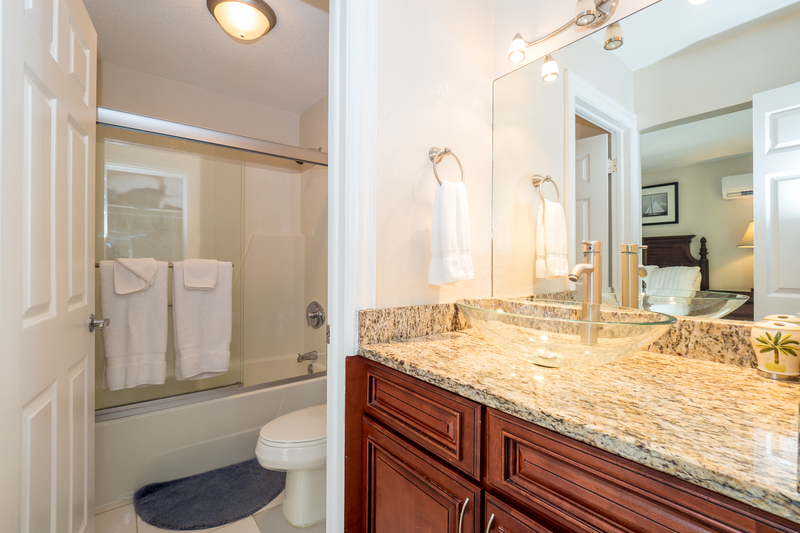 This island house was spotless and has been recently remodeled and redecorated beautifully. 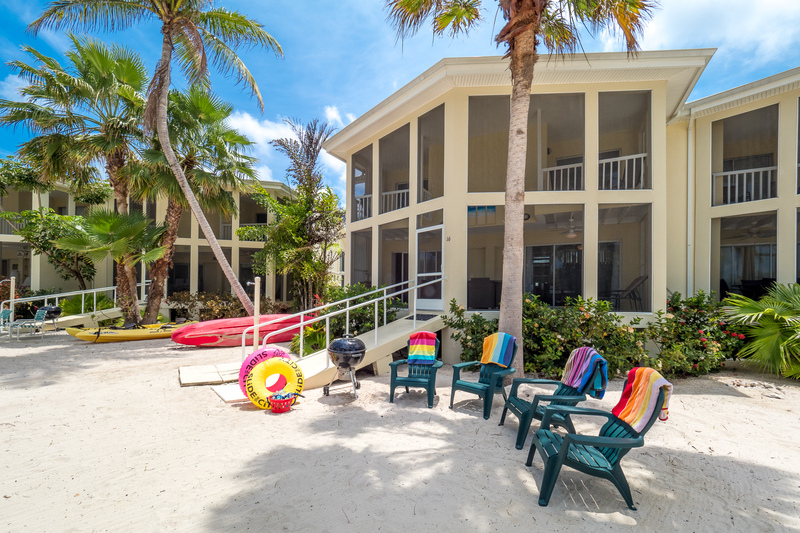 From the updated fully-equipped amazing kitchen with a huge granite island, great updated showers that had terrific shower pressure, and very comfortable bedding with all new furniture, we found this vacation home… Perfect! We were awed by the view from the screened in lanai that spans the back of house, where we sat and relaxed and looked out at the bio-luminescent cove, with a beautifully landscaped yard full of palm trees and flowers, and only being steps from the pool was a plus. There were three kayaks for children and one 2-seat very “stable” kayak for adults, which we used many times, and also 5 bicycles were provided. We truly loved this vacation property, and will be recommending this property to friends and family and will definitely stay here again. Thanks you Lori and Chris for a fantastic vacation!